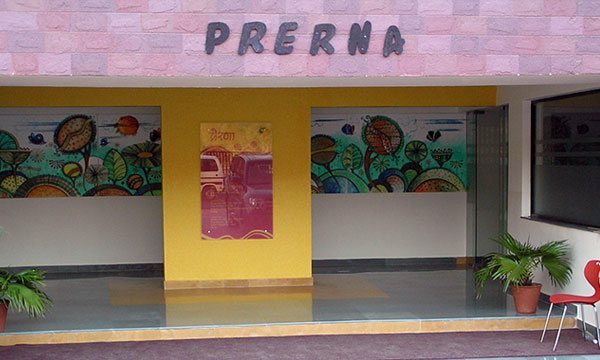 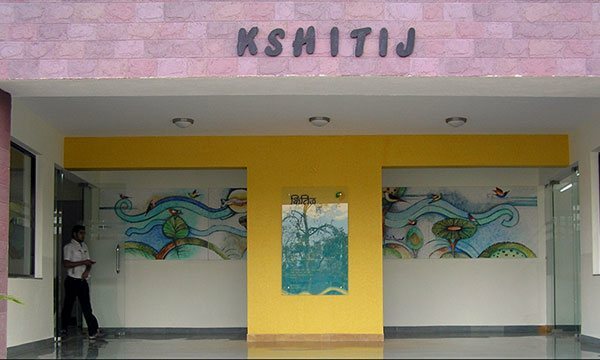 Kshitij and Prerna , the boys� and girls� boarding houses, have been conceived as a home for the students. 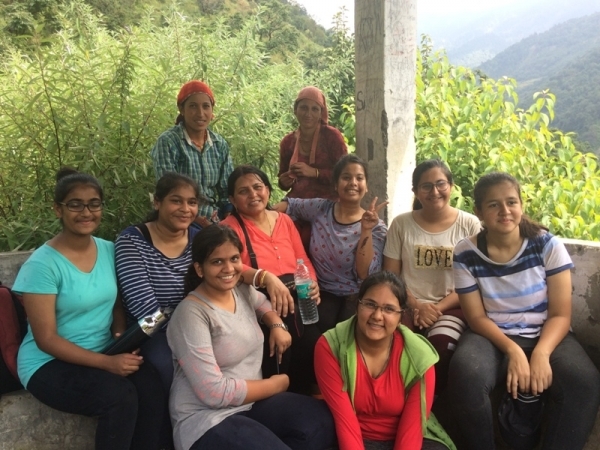 Like every other operations in The Sanskaar Valley School, both the Houses have independent pastoral care providers. 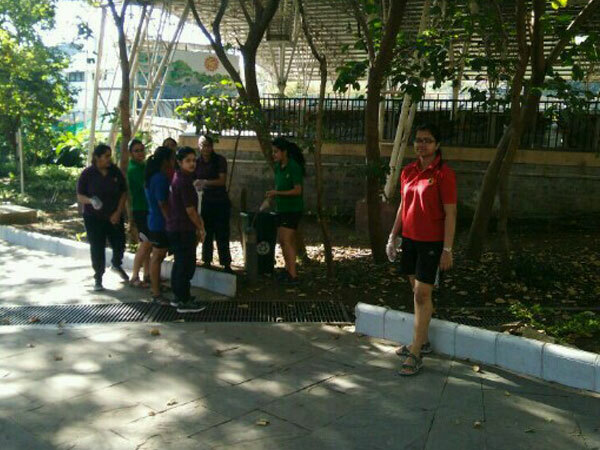 The House Masters/Housemistress lead the running of the residential set ups assisted by Wardens and Matrons. 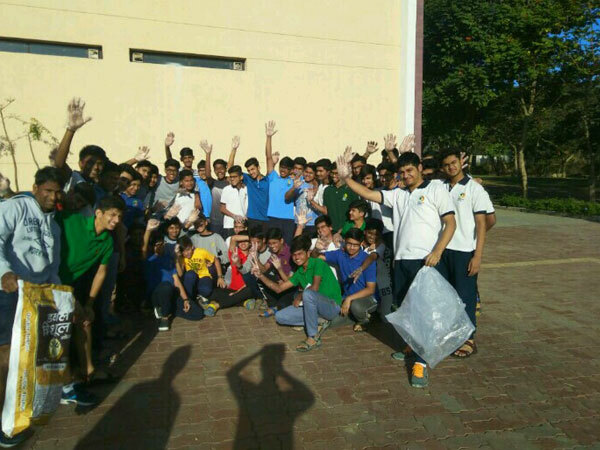 All of them stay within the premises of the boarding houses for effective care and supervision. 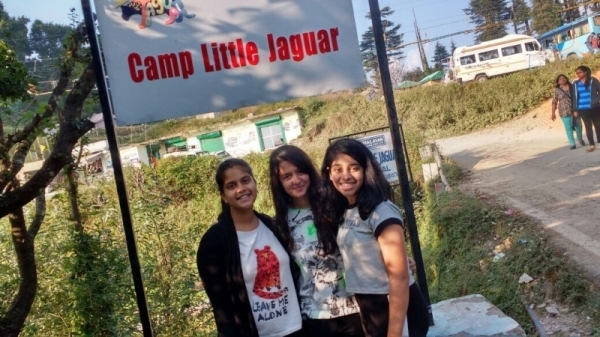 The students are accommodated in spacious dorms which are fully air-conditioned keeping the summer months in mind. 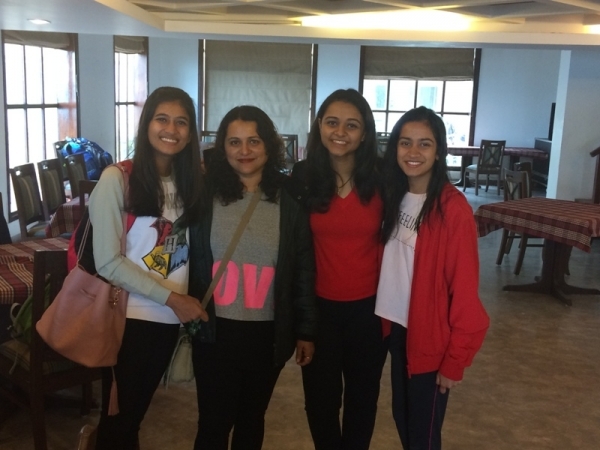 Each dorm has 4 to 5 occupants and every student is entitled to designated study space in the prep rooms spread evenly on each floor. 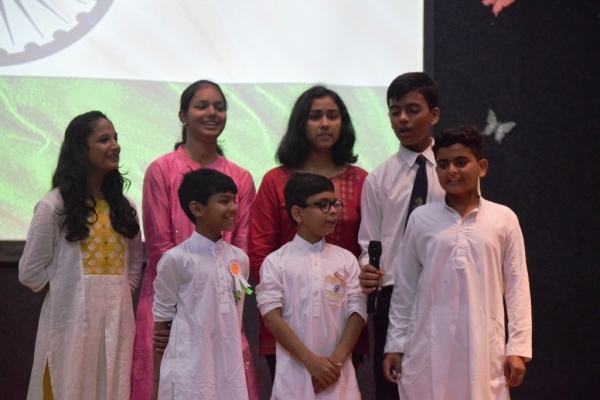 The specially designed schedule for the students attempts to harmonize the physical, intellectual and moral growth of each student. 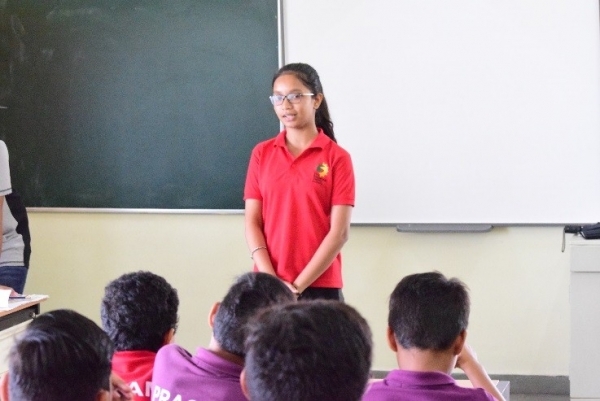 While an effective tutorial system reinforces the academic/pastoral needs of the students, there is a highly structured academic monitoring specially for the boarding students through an Academic Co-ordinator who looks after the academic development and monitors progress of each pupil. 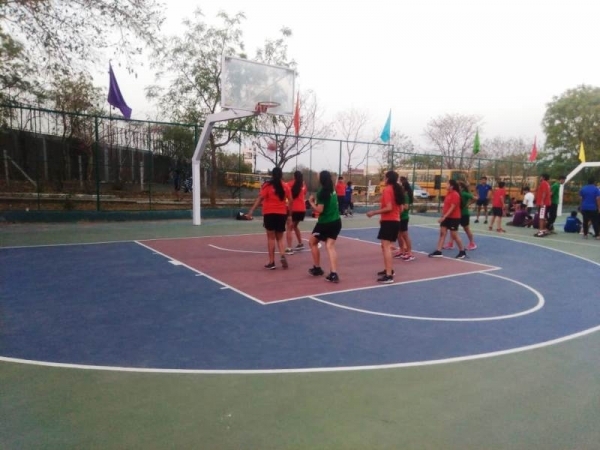 We follow a special Boarding Calendar allowing space of various activities, sports, co-scholastic opportunities to all under the supervision of an Activity Co-ordinator. 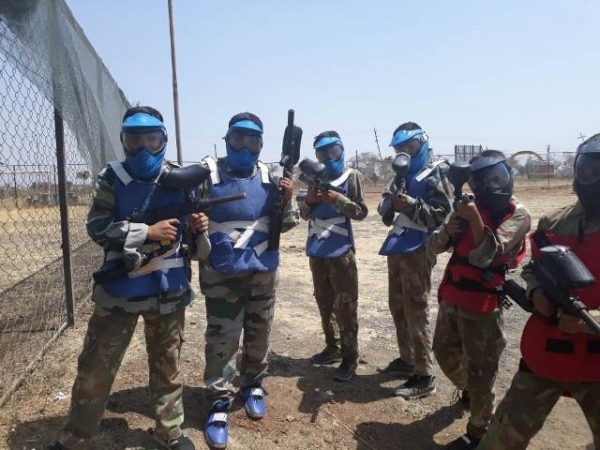 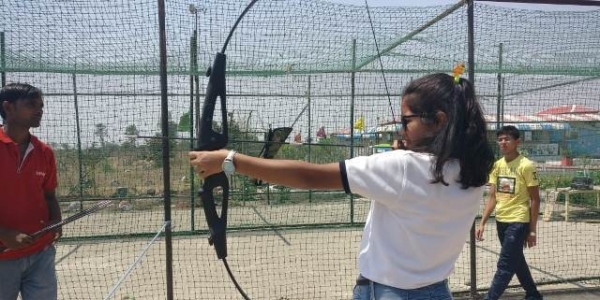 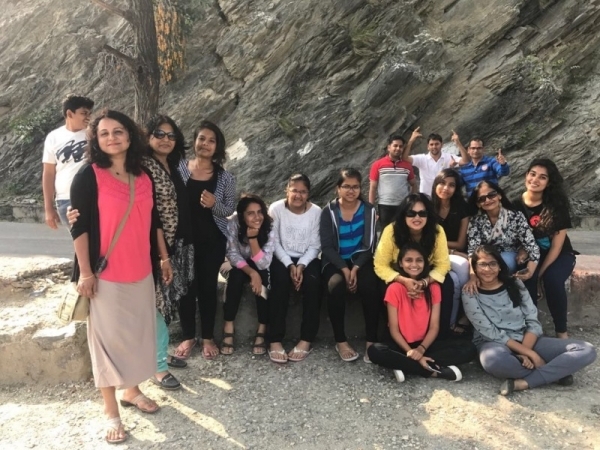 Special outings and exerts are a regular feature linking the students with the lively activities scheduled in the capital city. 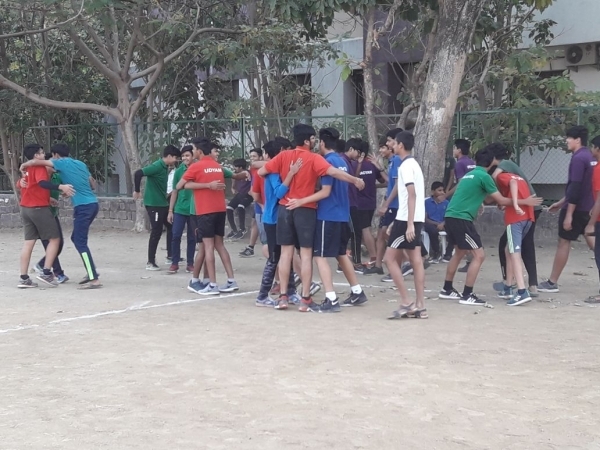 One of the unique feature of the boarding calendar is to allow the meeting of the parents every month so that the students are in active contact with the parents and the parents get a chance to track the progress of the pupil. 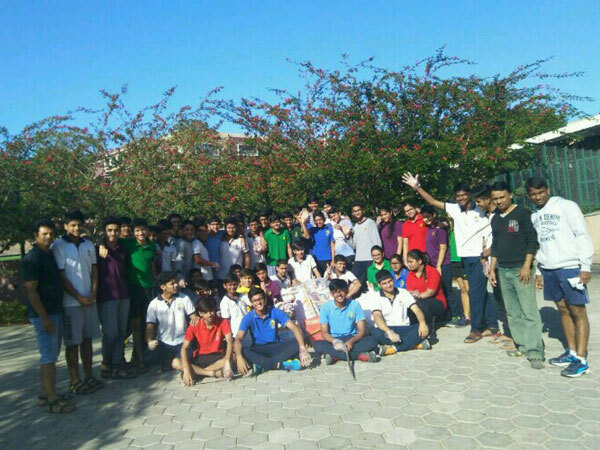 The House Masters/Mistresses lead the pastoral care operations in the boarding houses effectively supported by wardens and matrons. 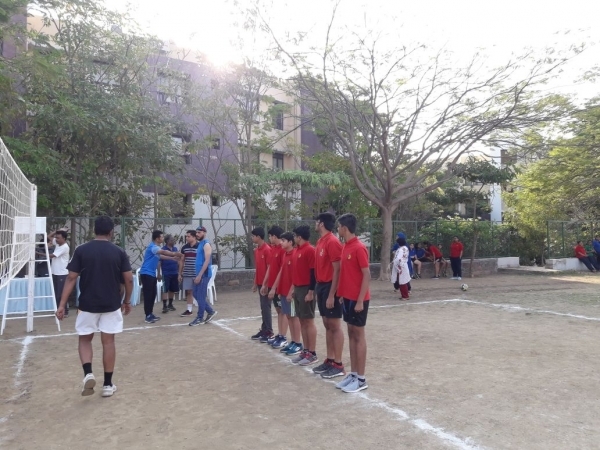 The internal runnings of the Houses are undertaken by the House Masters/Mistresses and the parents are encouraged to communicate directly with them through email or phone call for any expedient matter. 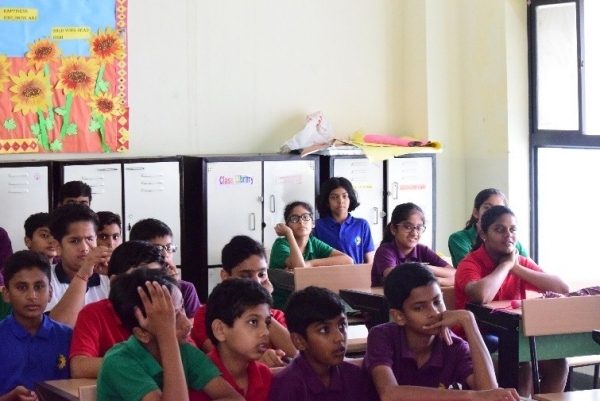 The house staffs are dedicated and qualified professionals with immense experience in pastoral care and administration to handle the emotional/personal growth of the pupils under their care. 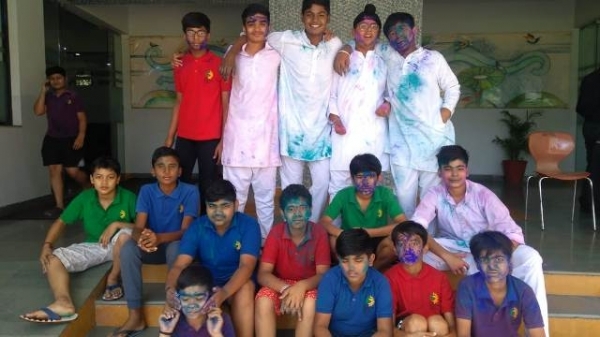 Every evening; post school hours enrichment classes for the students of all the classes� vis-�-vis the subject teachers available on campus; we provide special enrichment classes for the students to prepare for assessments and examinations. 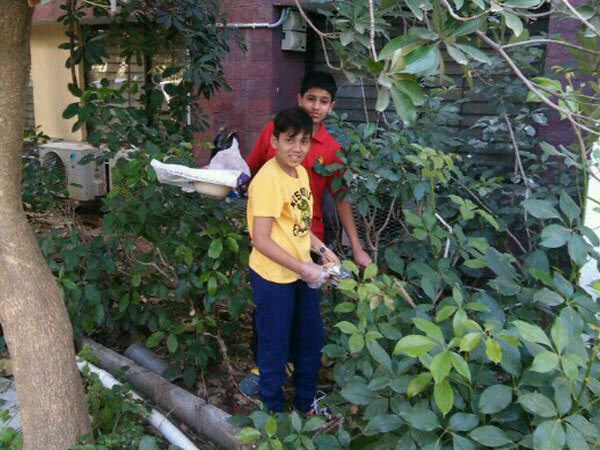 During the supervised prep time the students are engaged in self study and completion of the given home works. 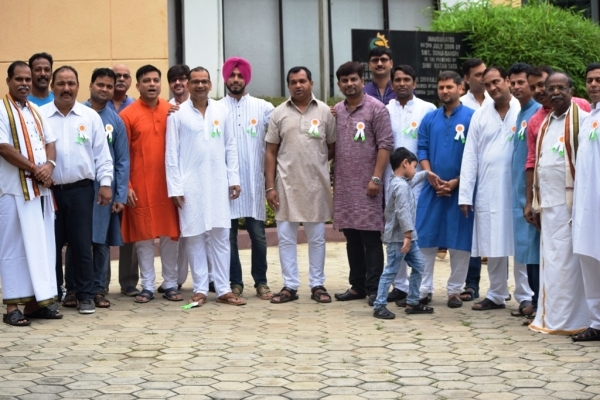 The 72nd Independence Day celebration took place at TSVS on 15th August 2018. 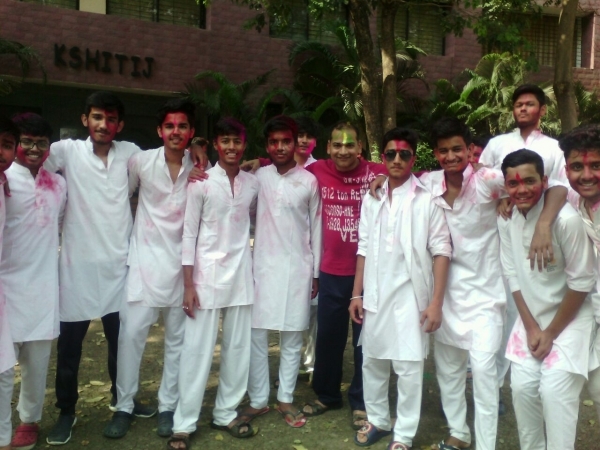 Students and teachers dressed in colorful traditional attire assembled at Kalanjali for the occasion. 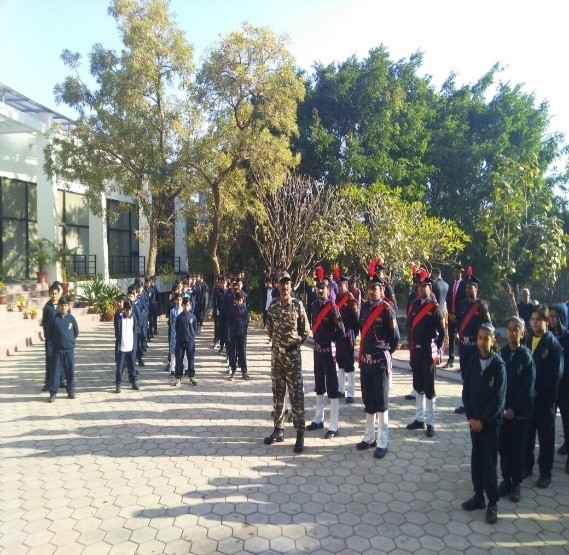 The flag hoisting was done at 9 am by Principal Dr. Amlan K. Saha followed by the national anthem. 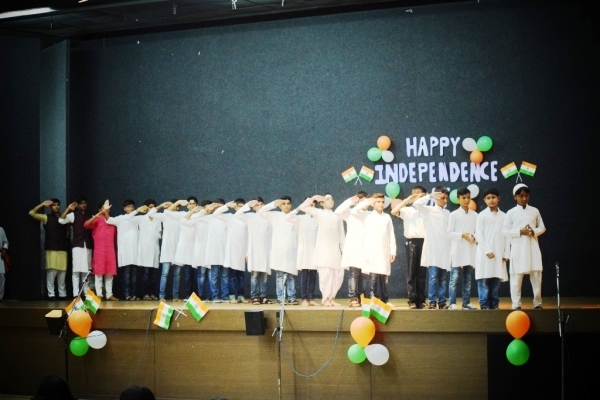 Dr. Saha congratulated everyone in his Independence Day addressed and shared the proud feeling of being a part of a country with a history of 5000 years and requested all to be responsible citizens of the nation. 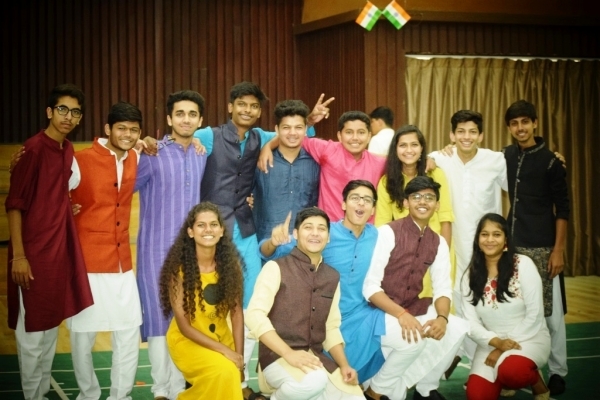 The celebrations continued with a vibrant cultural program at the Umang Hall coordinated and prepared by the Boarding students of ‘Kshitij’ and ‘Prerna’. 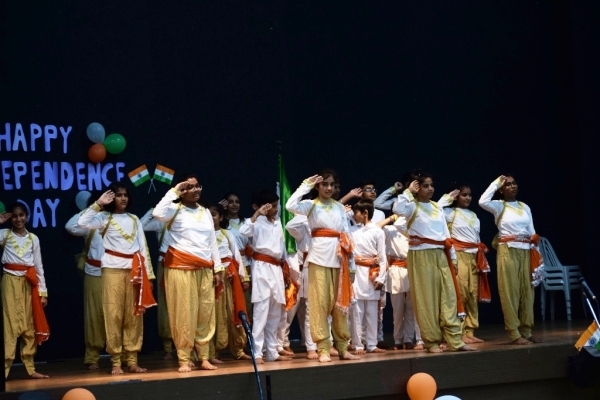 The key programs were song performance, skit, dance and drama filled with the spirit of patriotism and messages for children. 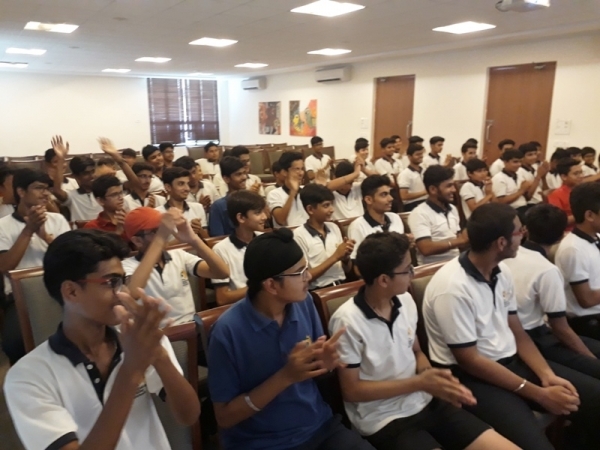 Effect+, a Global Citizenship Education Workshop was organized on 27th and 28th July 2018, at The Sanskaar Valley School, Bhopal. 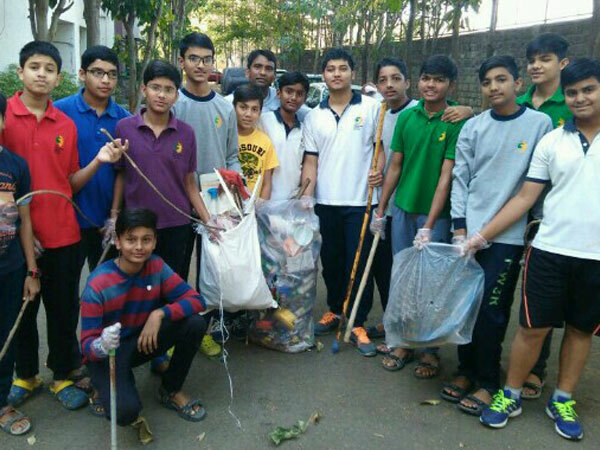 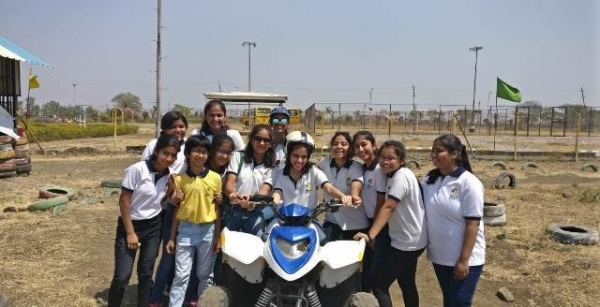 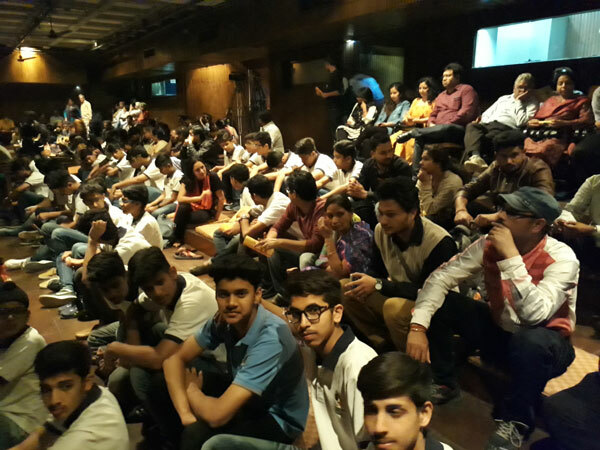 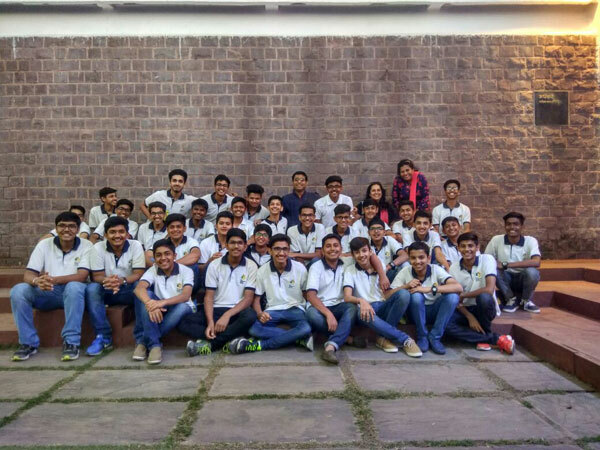 A total of 42 boarding students of Classes XI & XII participated in the program. 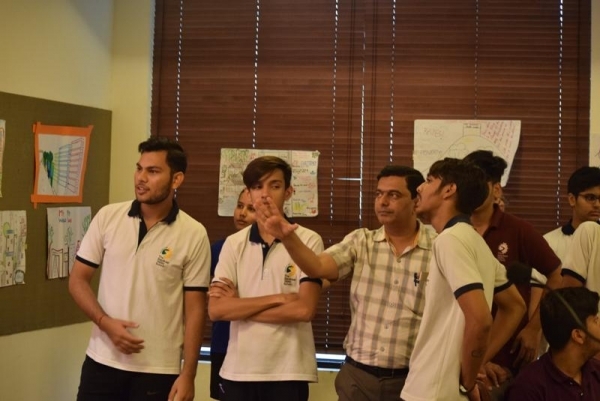 The resource person for the workshop was Ms. Sarita Badhwar, Consultant, AFS Intercultural Programs India. 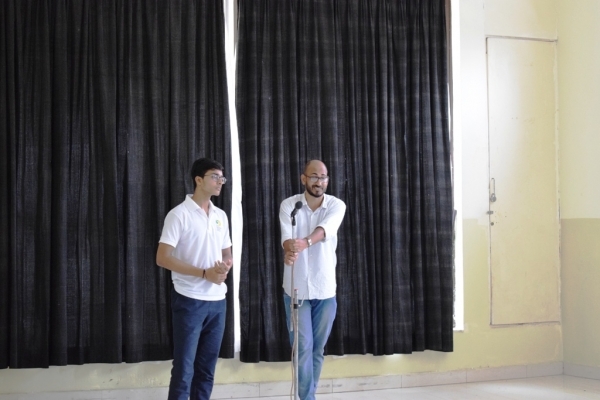 The guest speaker Dr. Rohit Trivedi, an English professor from Nutan College, Bhopal shared his own example, life experiences as an impaired person and role of students as the youth in community participation and wellbeing of the underprivileged. 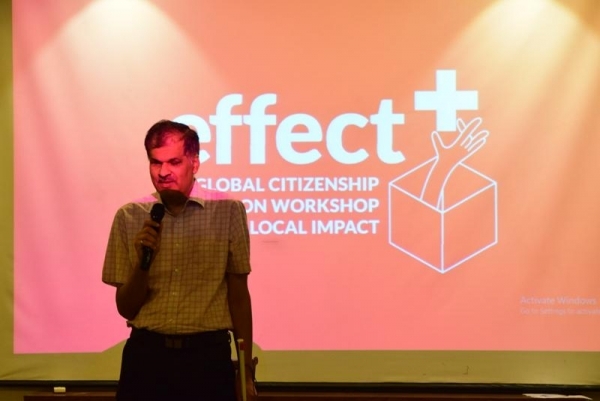 The key sessions & activities of the workshop were introductions & ice-breaker, Butterfly Effect, Generating Effect+, ‘What’s my place? 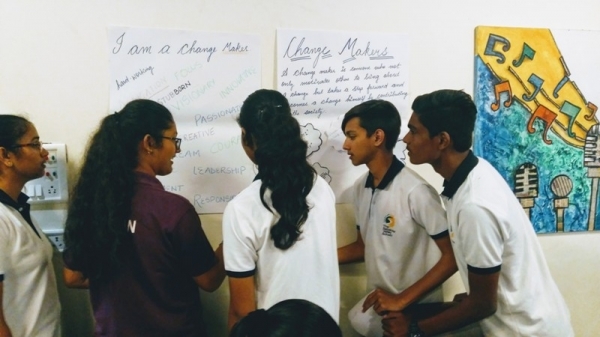 My world, my place’, and Generate Effect+ through which students were orientation, sensitized and motivated to think as a Global Citizens and move from being learners to Changemakers to help advance the United Nation’s Sustainable Development Goals (SDGs). 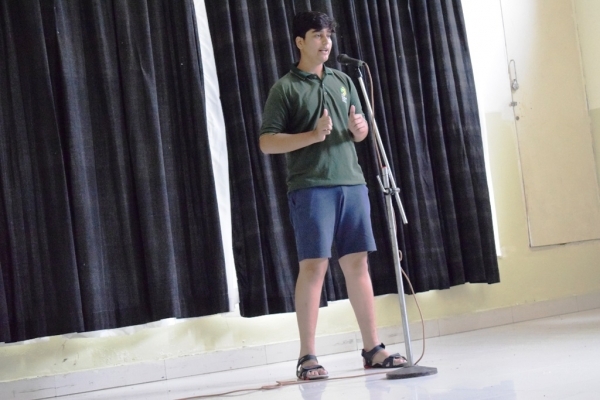 “You can Speak well if your tongue can deliver the message of your heart.” Keeping the quote in mind, The Sanskaar Valley School organized a speaking skill competition for the boarders of Grades V-VIII. 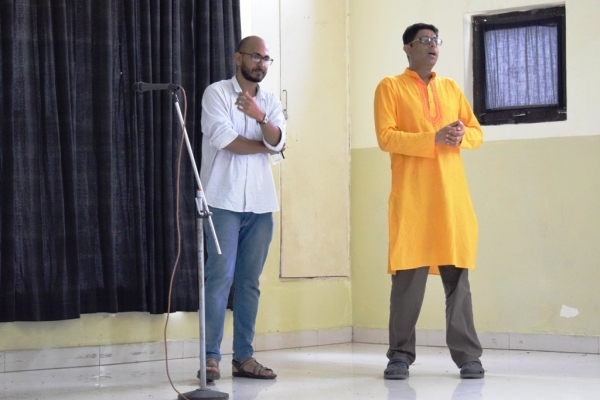 The event was adjudged by Mr. Rajnish and Mr. Rahul Saxena from Terracotta Capabilities. 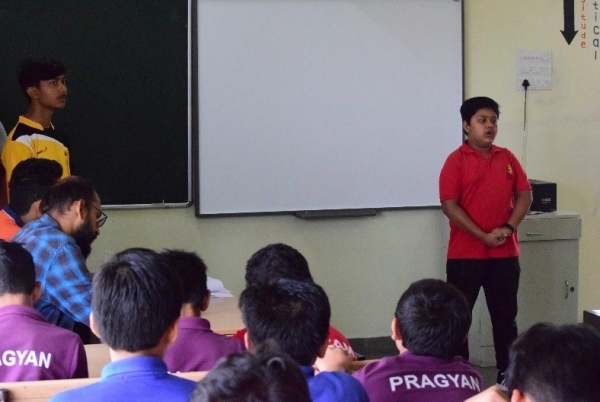 Most of the students spoke about the rainy season and the ways to keep oneself protected from the diseases which are common in this weather. 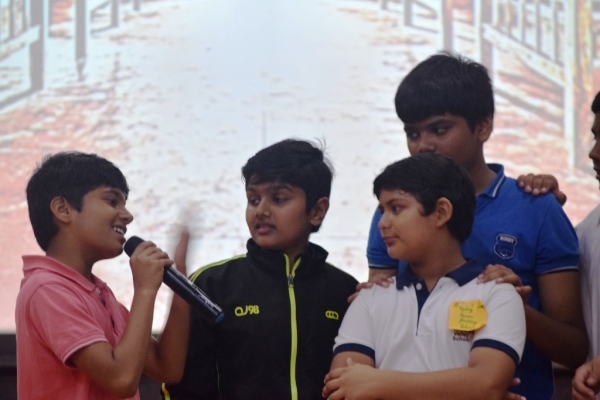 The award for best speaker was a tie between Ansh Rathi and Ziya Sahu. 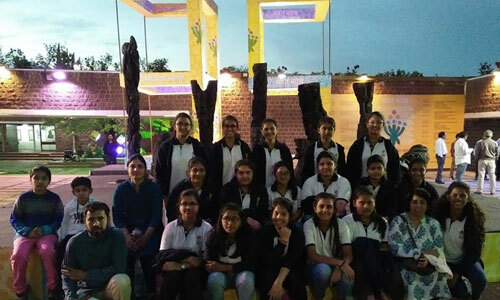 The first runner-up of the competition was Jagrat Shivhare, the second runner-up was Stuti Agarwal and Abnhi Gupta was recommended for a Consolation prize. 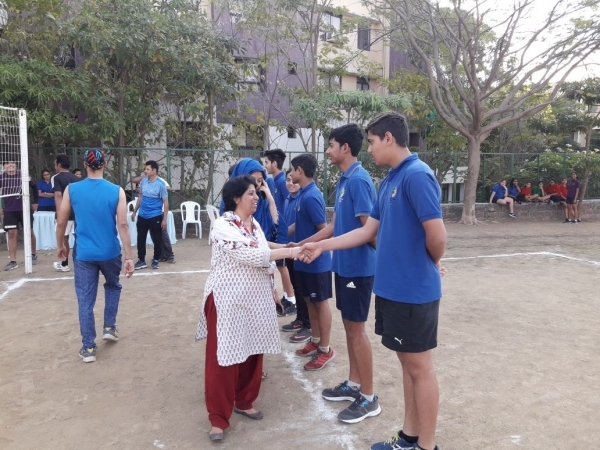 The House Staff Mr. Dominic Paul, Mrs. Shubhra Shome, Ms. Nazma Khan and Mrs. Manju were also present in the foyer to boost the confidence of the students. 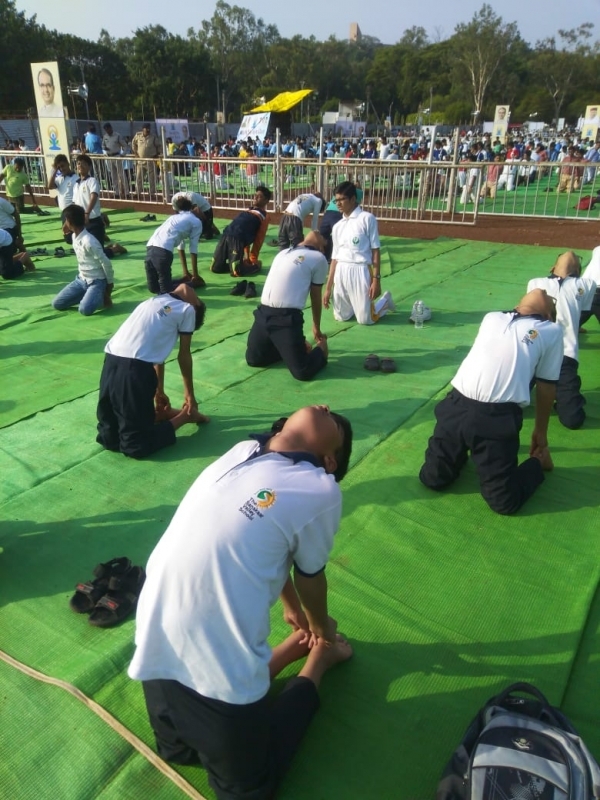 Keeping the spirit alive of the first International Day of Yoga that was observed all over the world on June 21, 2015, where more than 30,000 people, performed yoga asanas (postures) at Rajpath in New Delhi, this year too its fourth edition was celebrated with the same fervor by the boarding students of TSVS. 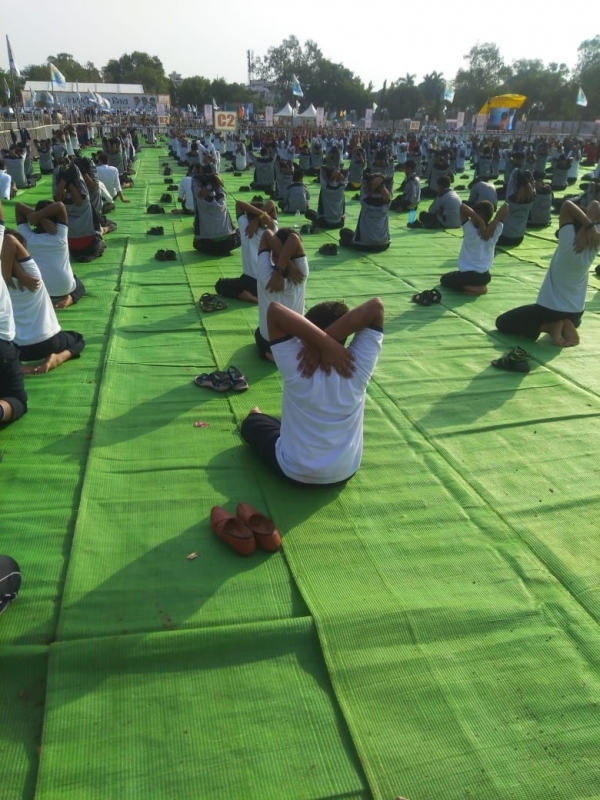 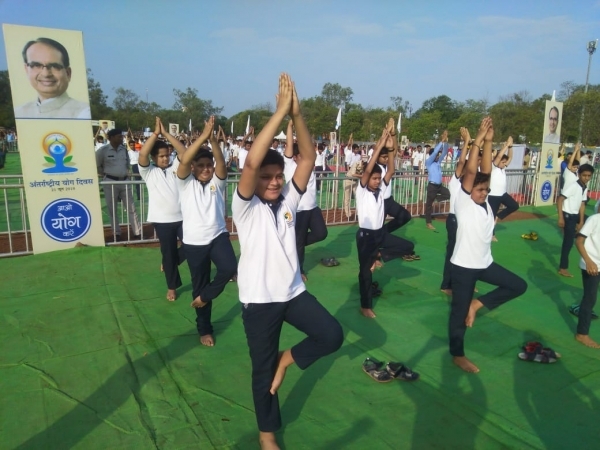 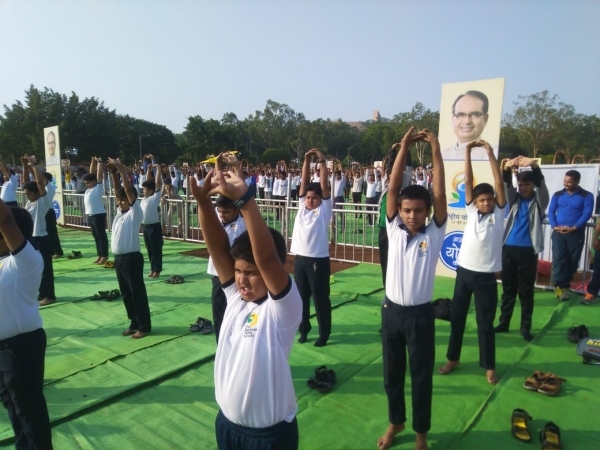 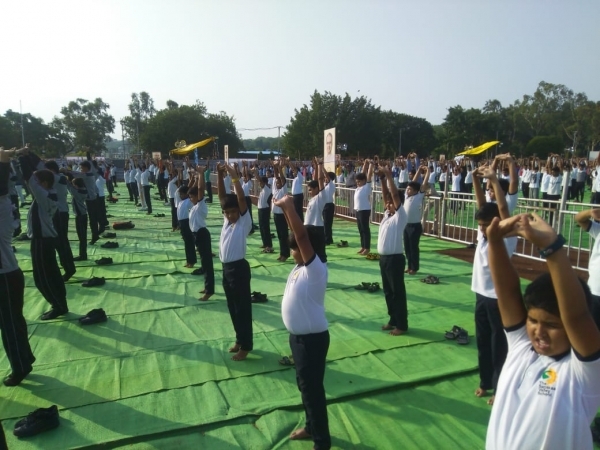 The students joined the celebrations in Bhopal at the Lal Parade Ground by actively performing yoga with hundreds of other residents of the city. 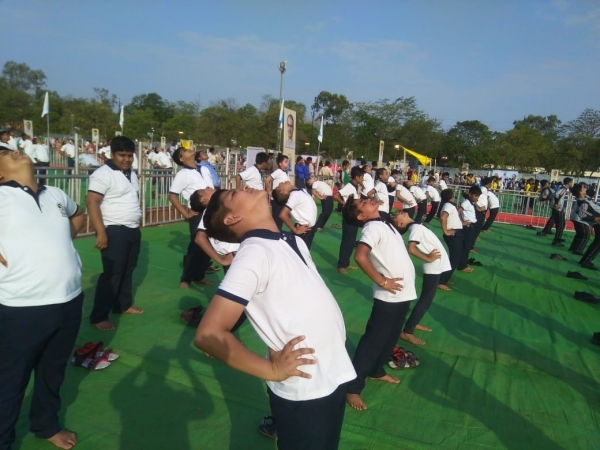 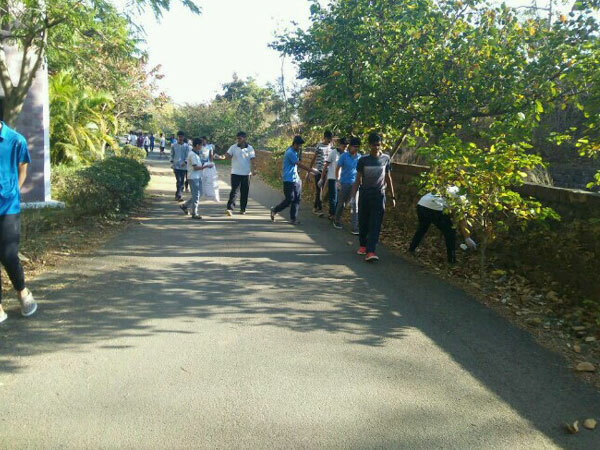 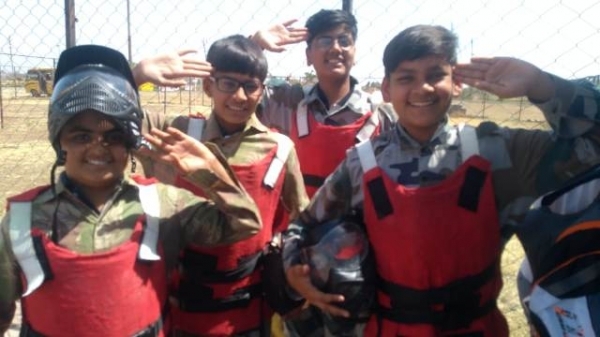 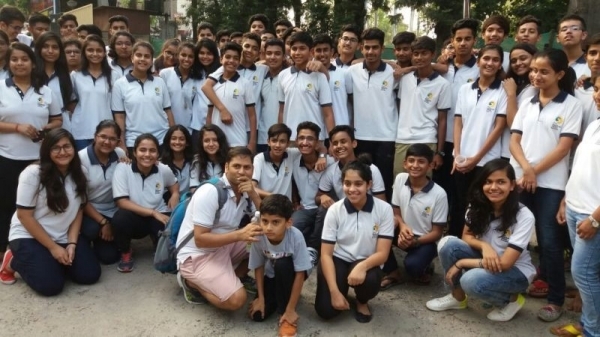 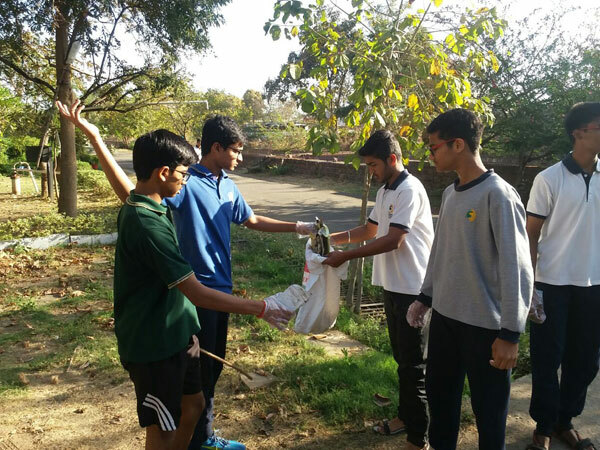 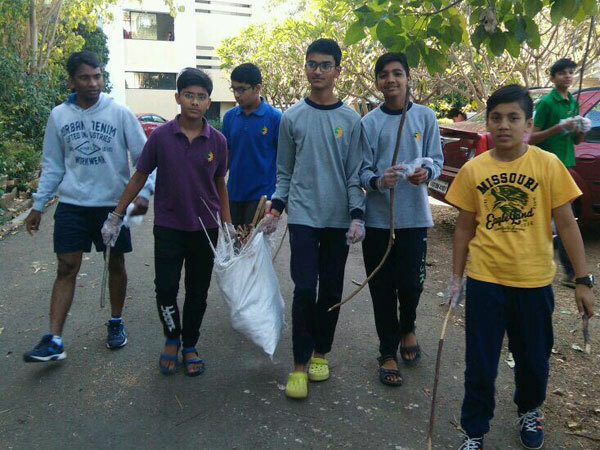 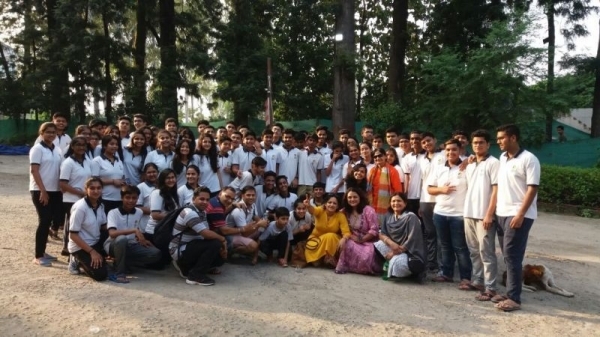 A total of 44 students from class 6th- 8th led by Mr. Anand K. Das, Boarding Activity Coordinator participated in the event and rejuvenated their souls and bodies. 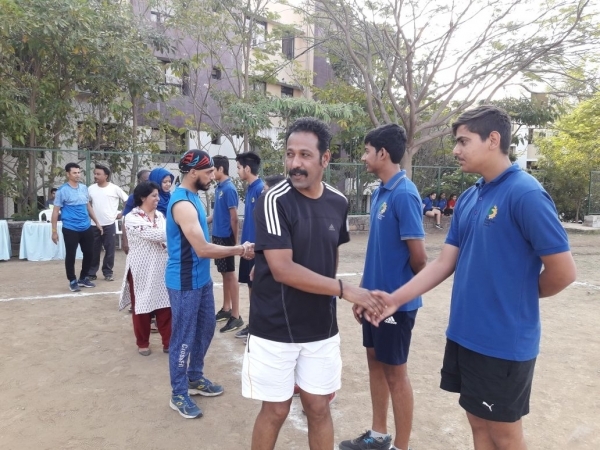 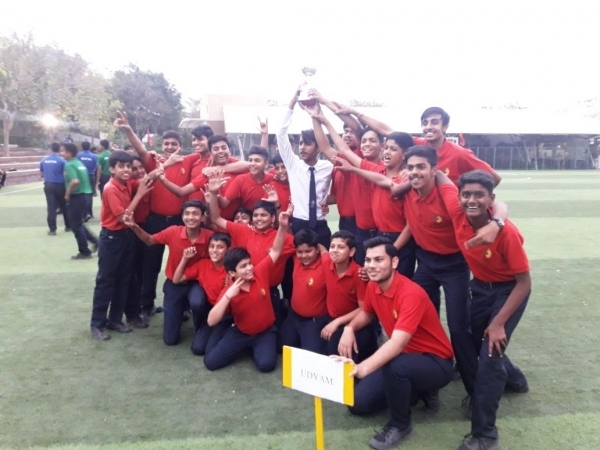 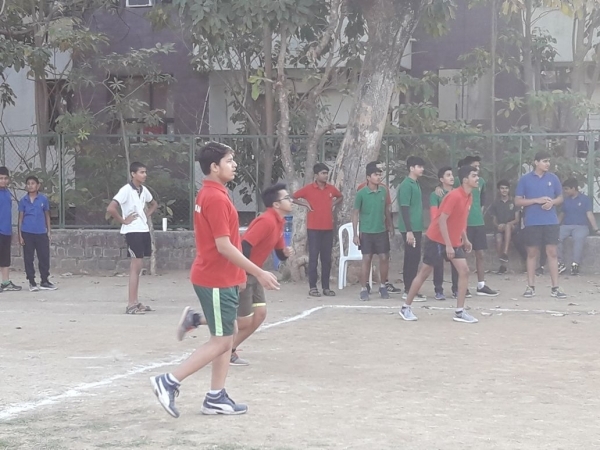 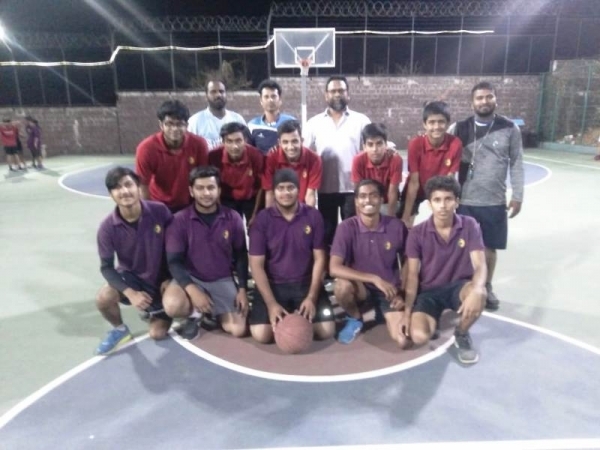 An inter-house Volleyball Competition was organized by The Sanskaar Valley School for its boarding students on Tuesday, 6th March 2018. 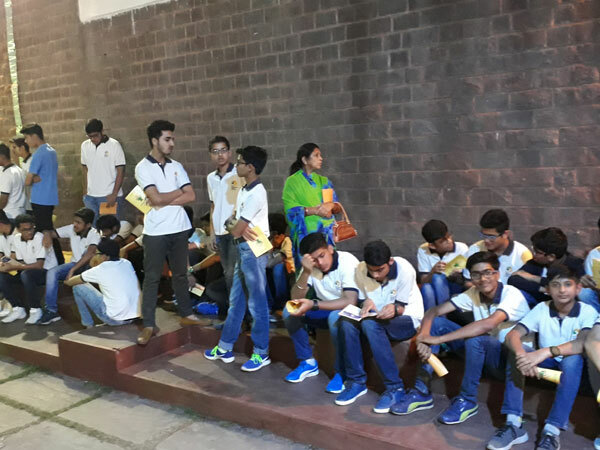 For this competition, the students were divided into teams on the basis of their houses viz. 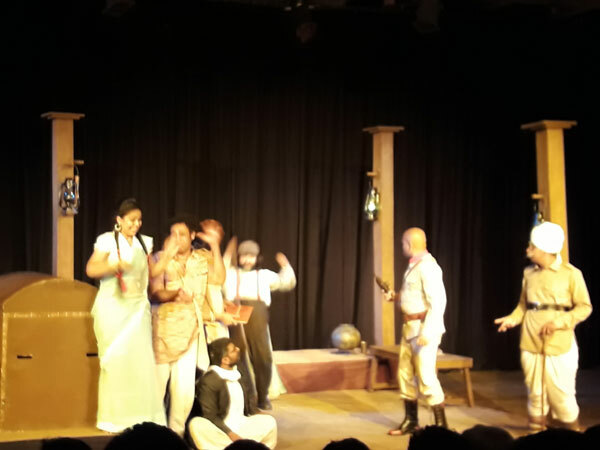 Pragyan, Udyam, Pravir and Satya. 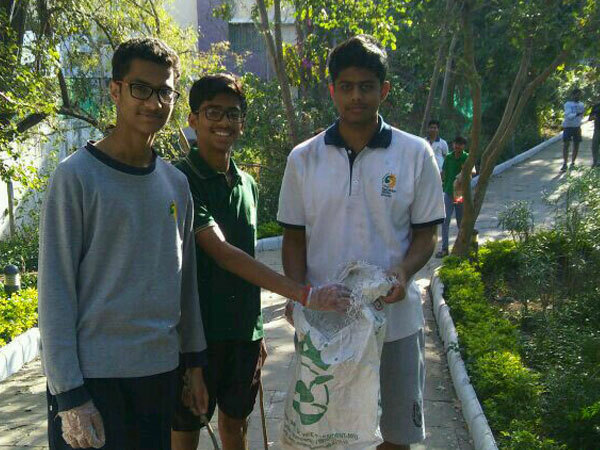 The first prize was bagged by Udyam. 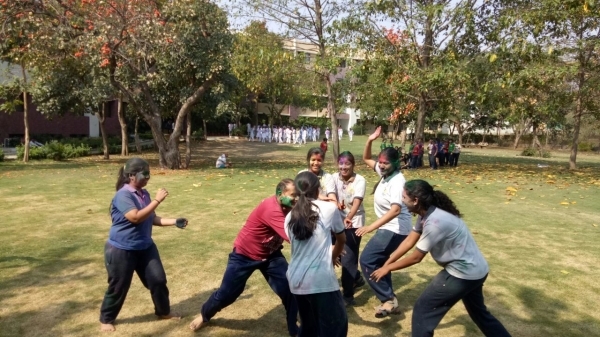 At the end of this event, the winning team had a match with the team of residential staff. 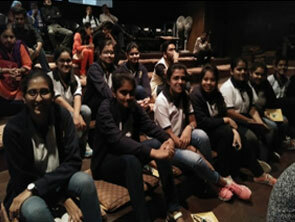 The event culminated with a closing ceremony where students were felicitated with certificates. 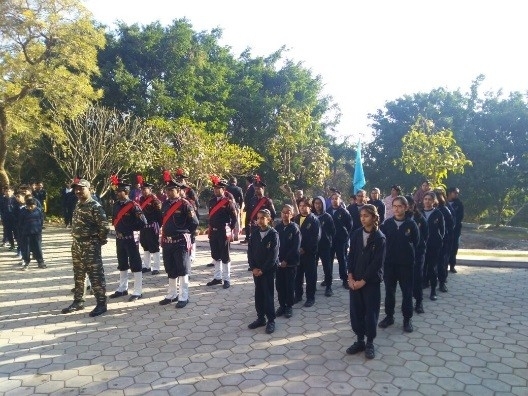 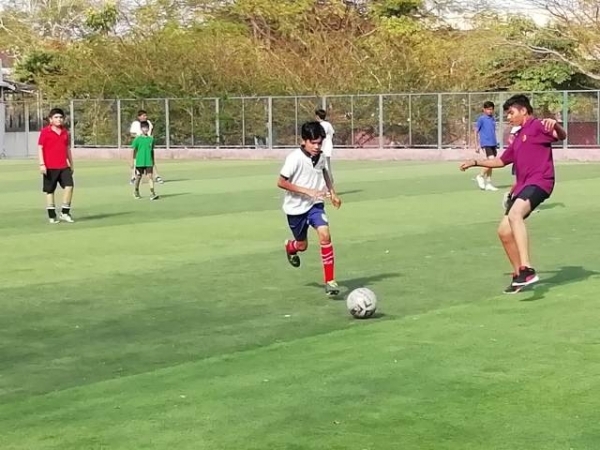 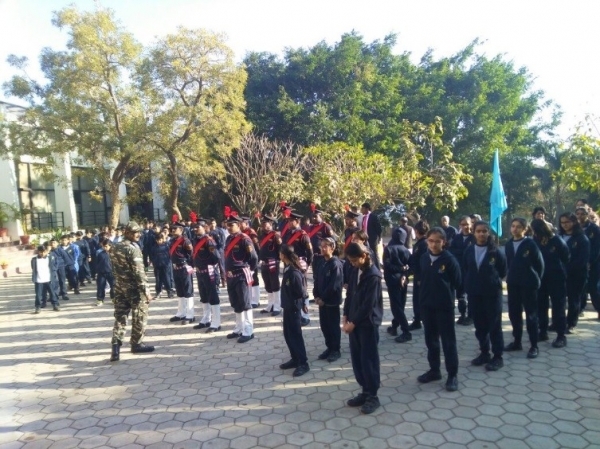 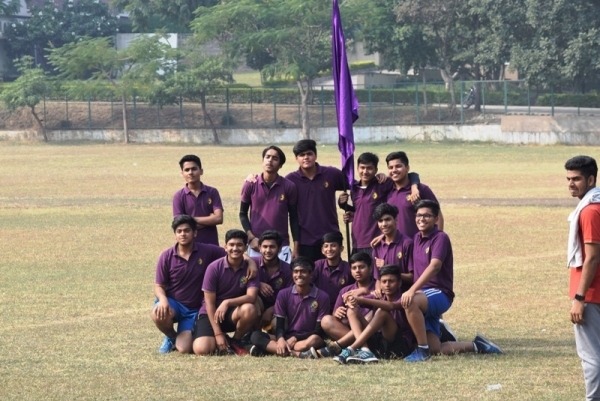 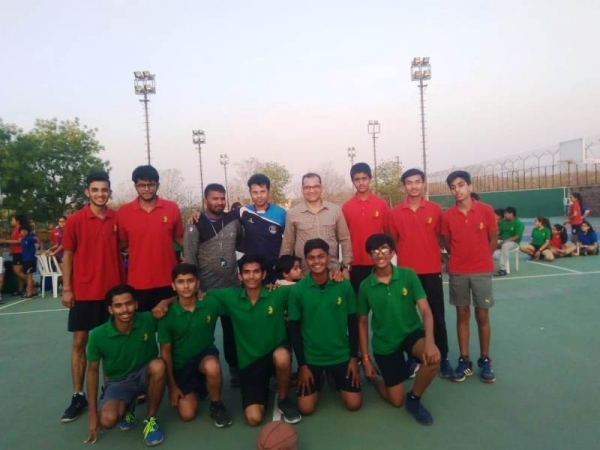 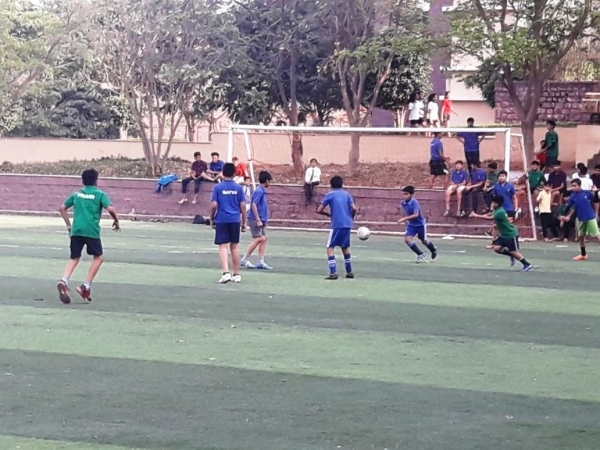 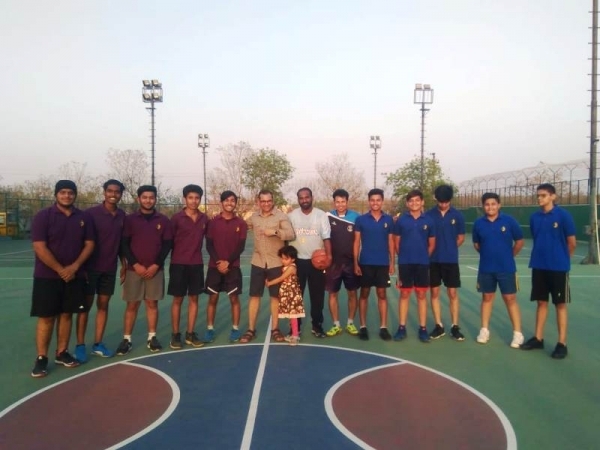 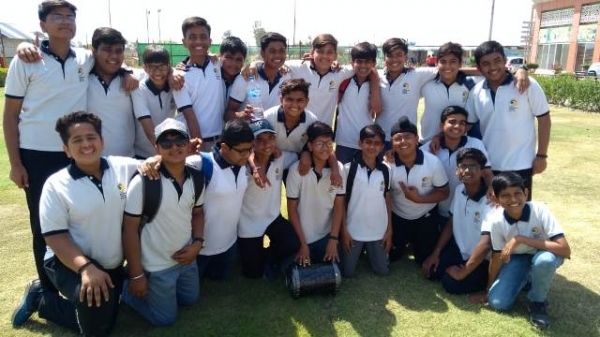 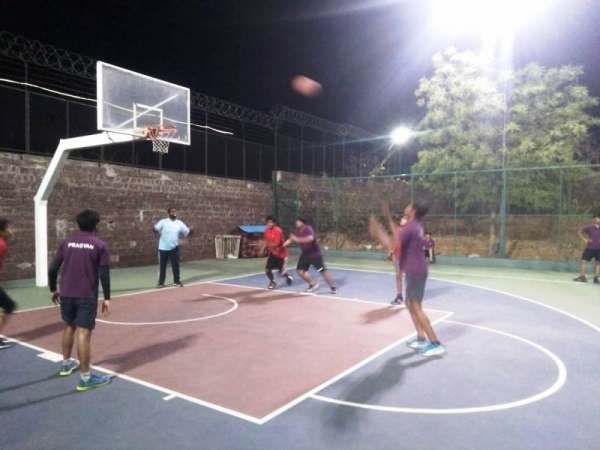 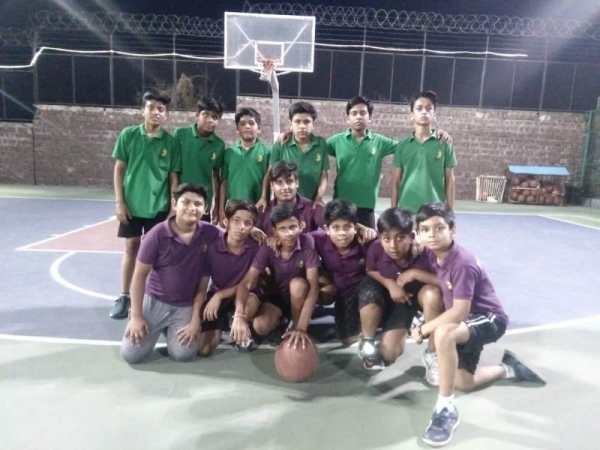 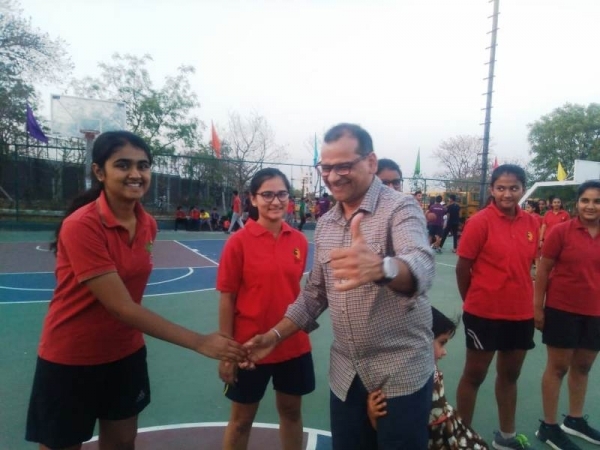 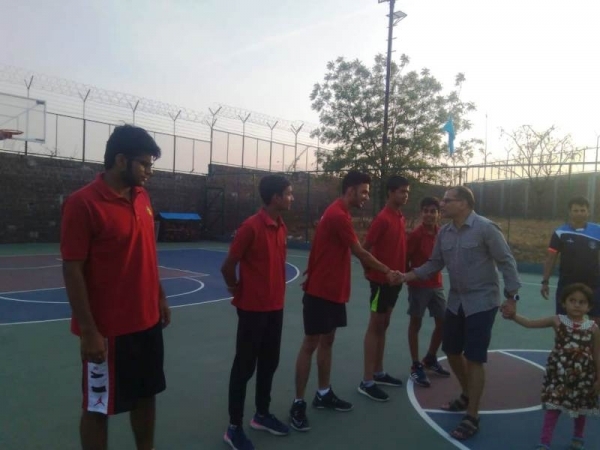 The boarding students never fail to respond with enthusiasm for any activity/ sport,and their performance on 8th April 2018 was a testimony to it.The program commenced with a competition for the BestHouse March Past and the occasion was graced by the presence of Dr. Amlan K Saha, Principal andDr. 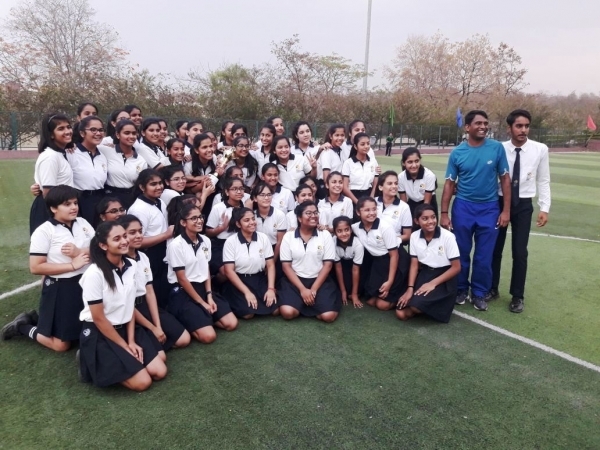 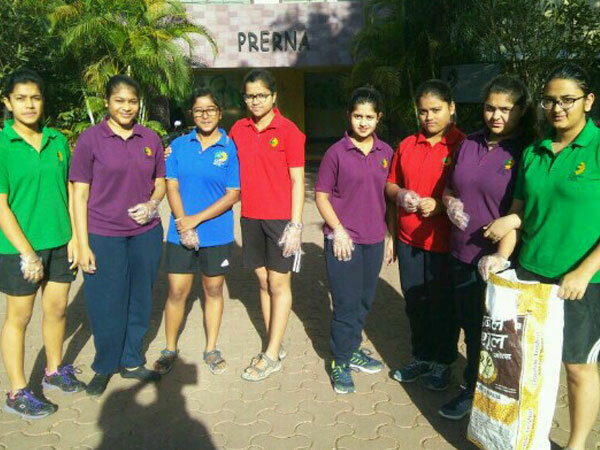 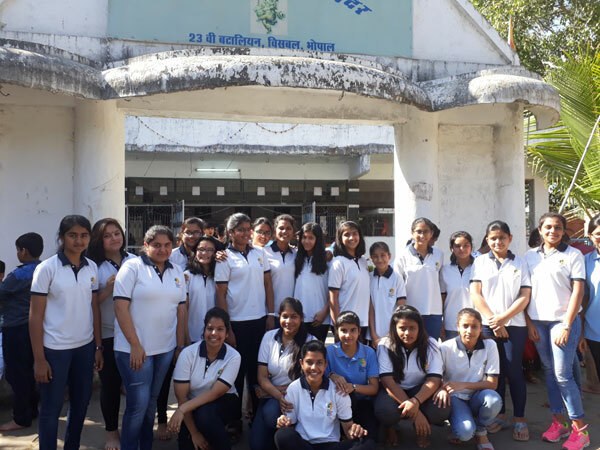 Dillip Panda, DoS and Head- Boarding and the residential staff of the school.The Udyam House was adjudged as the runners-up and the girls bagged the Winners’ Trophy. 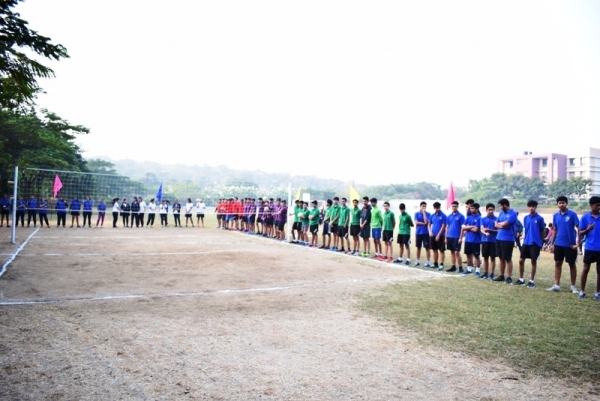 The March Past was followed up by a challenging Inter-House Soccer match in both Junior and Senior categories. 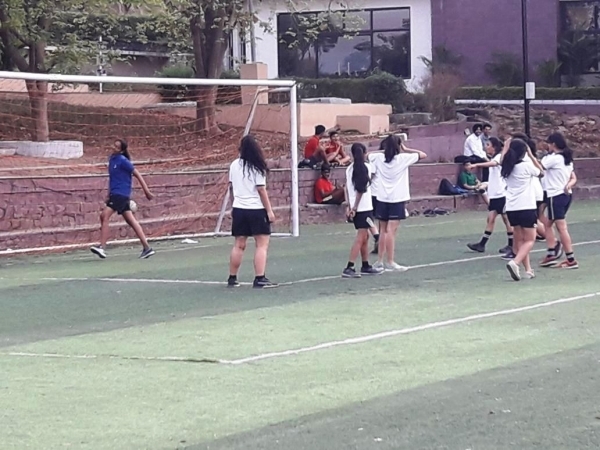 Satya House registered a victory over Pravir House (1-0) in the Junior Group and in the senior category Udyam House defeated Pravir House (4-0).The girls of Udyam House outplayed the rest of the girls in white in an exhibition match by 1-0 goal. 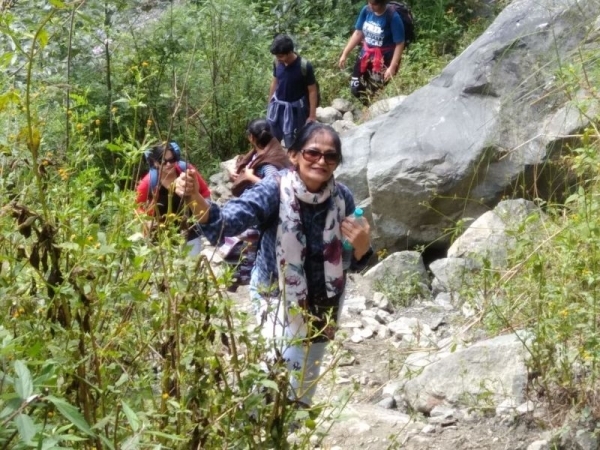 Diane Mariechild has often quoted that, "A woman is the full circle. 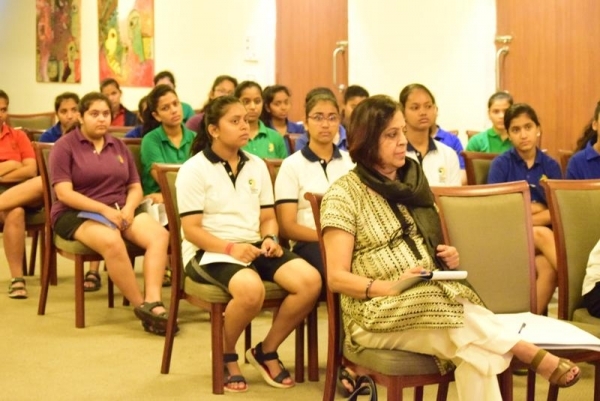 Within her is the power to create, nurture and transform.” Empowering our young girls from the boarding on the transition that each girl encounters, a session was organised by eminent gynecologists Dr. Anjali Kanhere and Dr. Sushruta Shrivastava on "Challenges of Womanhood". 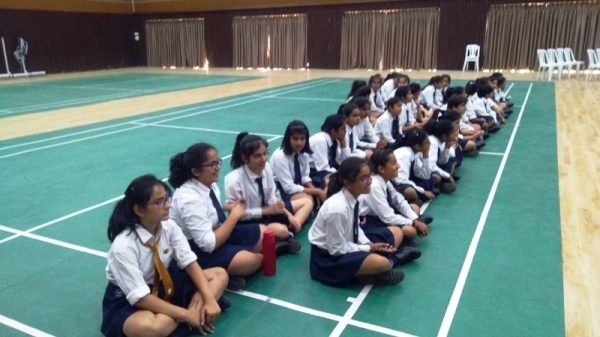 Students were educated about the physiological changes that girls experience during adolescence. 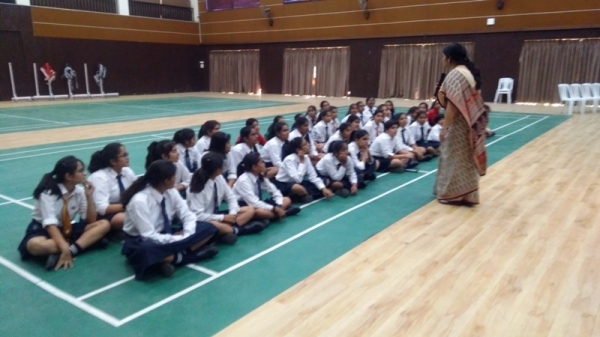 They were also informed about the physical and emotional impact of hormones during this phase. 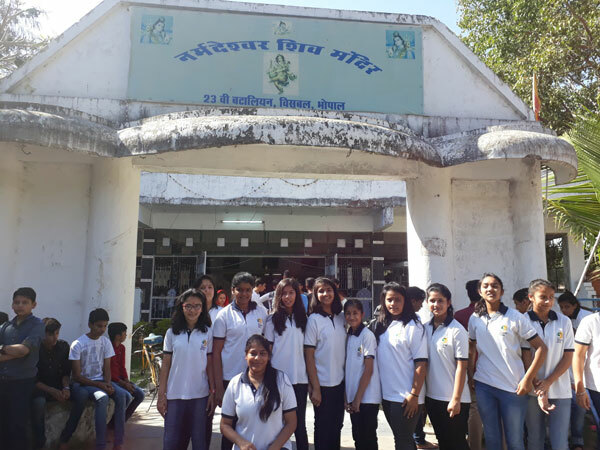 They were explained the importance of balanced nutrition and physical activity during this developmental period of their life. 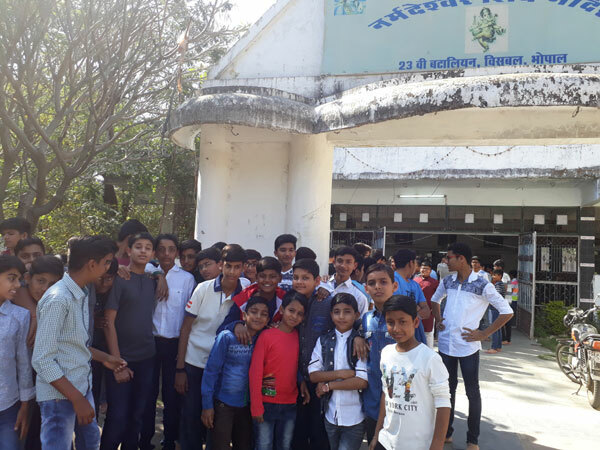 The importance of hygiene and health was re-iterated, and they were introduced to the importance of taking special care of their personal hygiene. 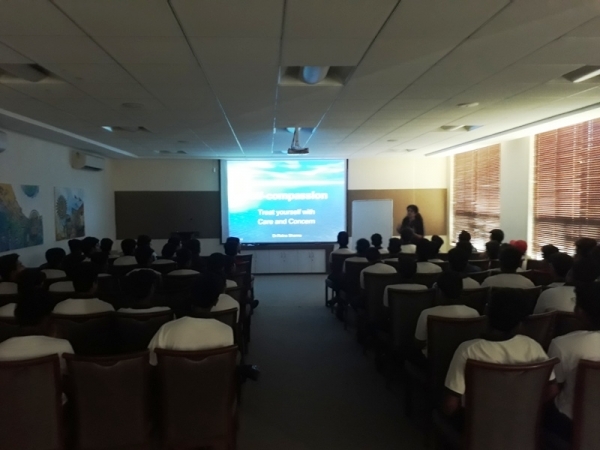 The interactive session allowed students to pose questions and the gynecologists answered all the queries further clarifying the myths and doubts. 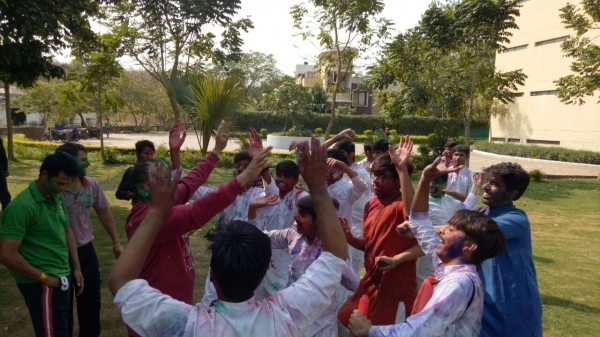 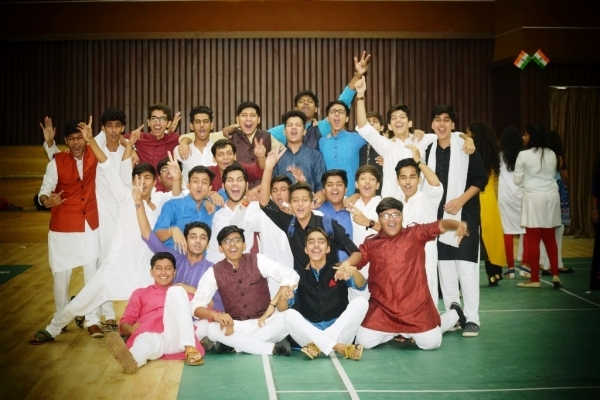 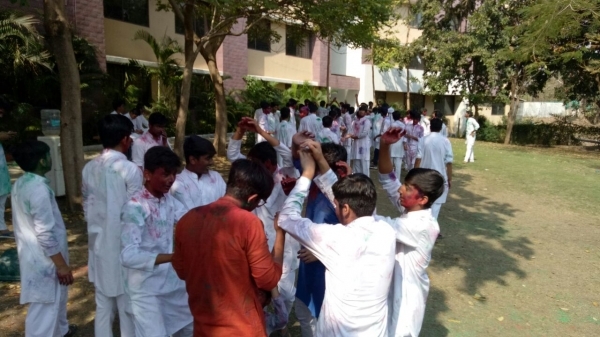 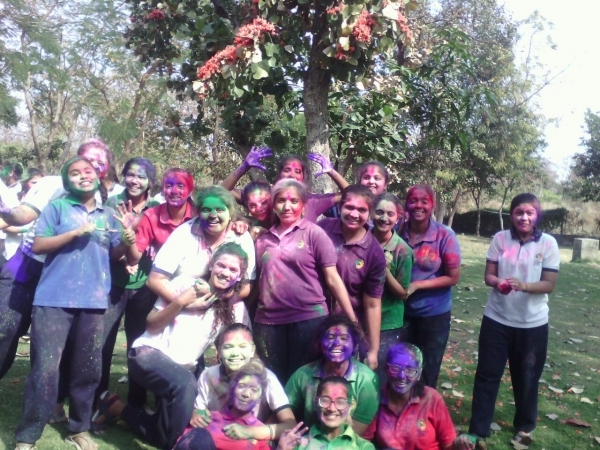 The student fraternity at TSVS boarding houses celebrated the festival of colors with aplomb and vim. 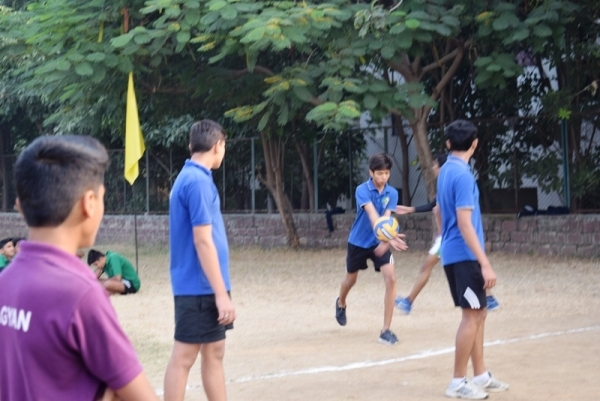 The gaiety of this event was furthered by the presence of residential teachers. 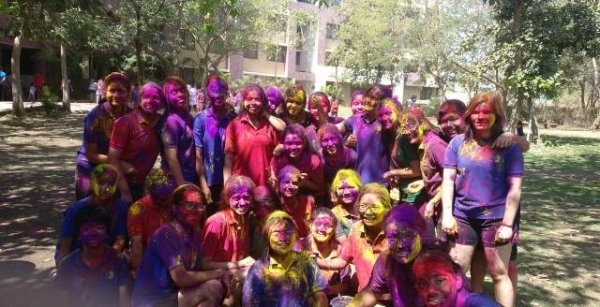 From children to teachers, all were smeared in the colors of joy. 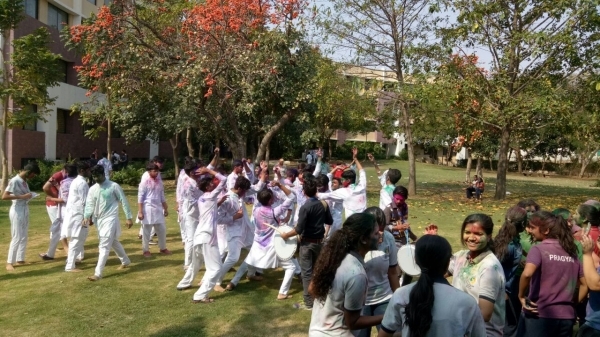 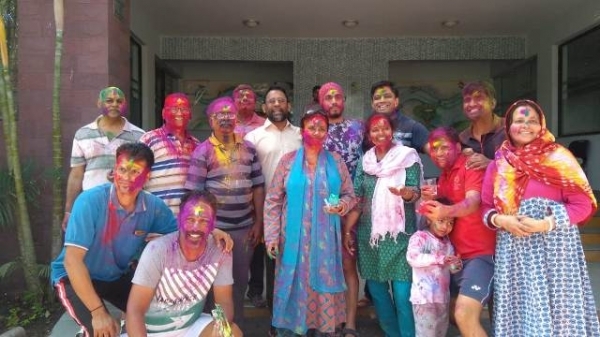 To support the nature and to promote eco-friendly Holi, floral and herbal colors were used. 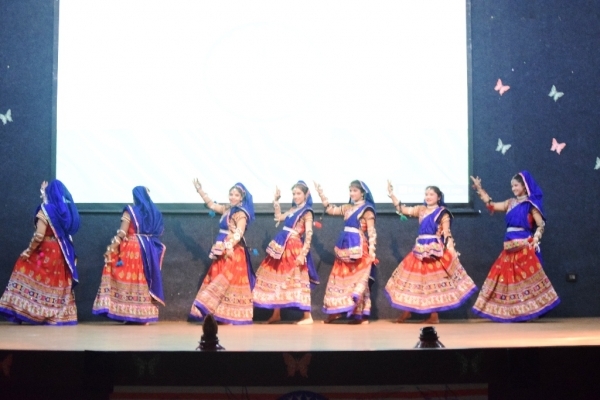 The excitement reached its zenith with dance and music. 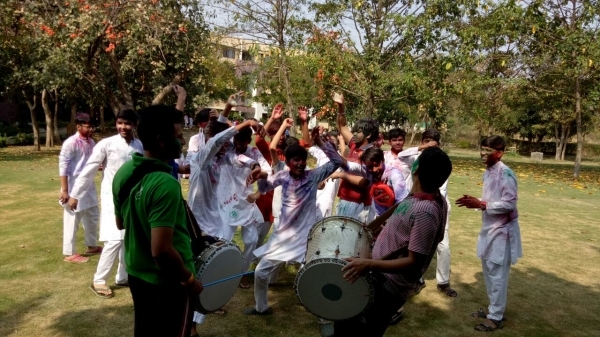 The whole fraternity tap their feet to harmonious and frenzy Holi numbers. 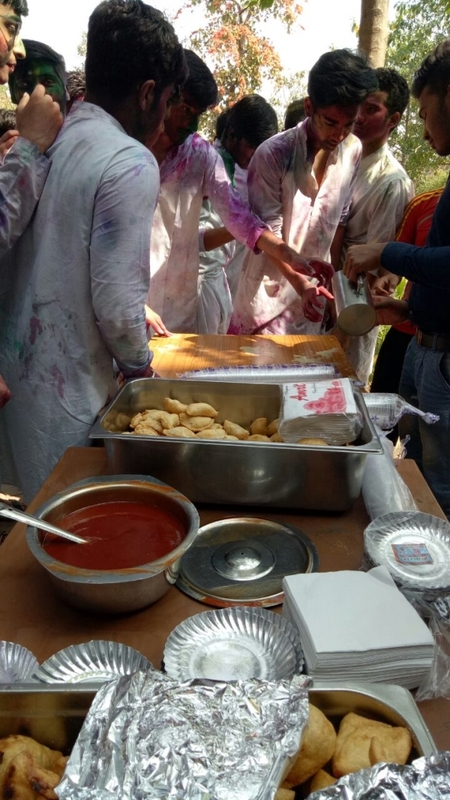 The celebration finally ended with a mouth-watering traditional refreshment followed by a scrumptious lunch. 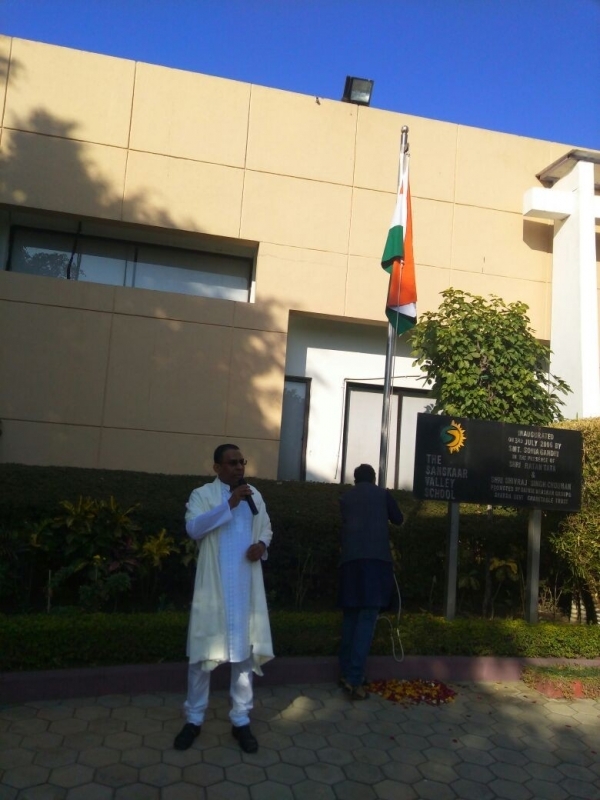 In celebrating and honoring our nation on its 69th Republic Day, TSVS as a team assembled in front of the Admin Block on 26th January 2018 to hoist the National flag. 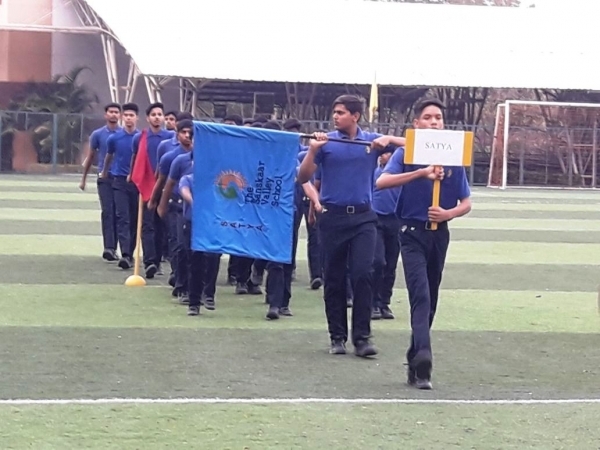 The flag having been hoisted and unfurled, the Principal addressed the gathering, quoting from the speech of President on the eve of Republic Day emphasizing on encouraging students to think and not just memorize and reproduce. 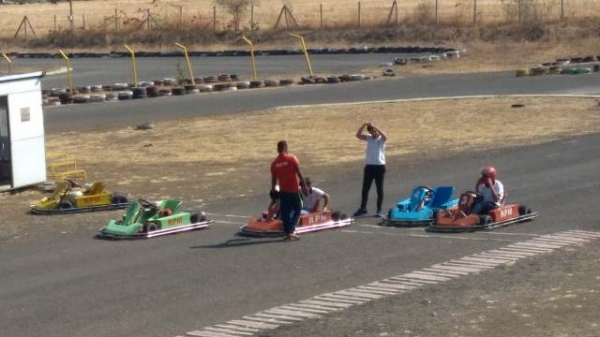 The Ex Boarding along with the Dy. 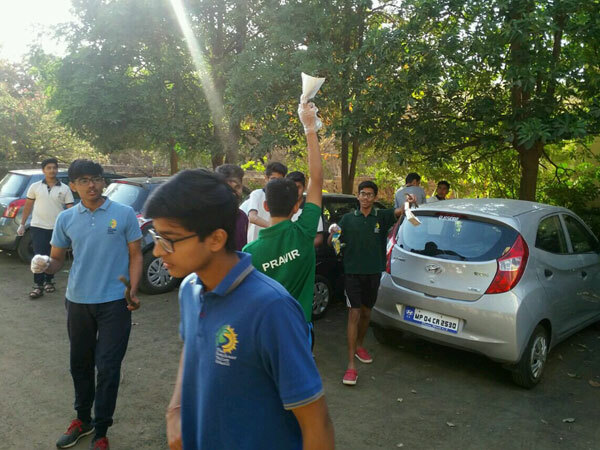 Head Boy then lead the gathering to take the Pledge as a reminder for all towards their role as dutiful citizens. 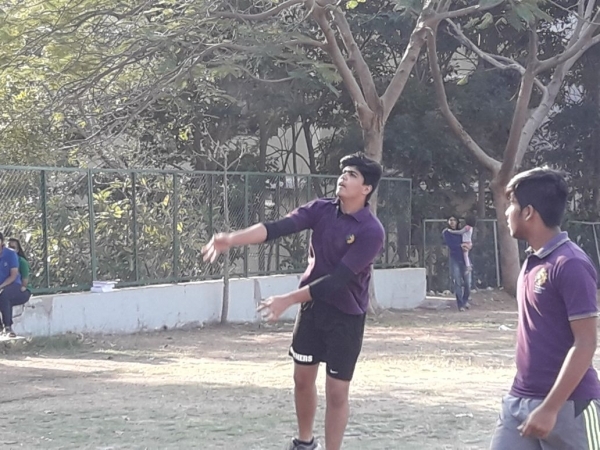 An Inter-House Volleyball Tournament was organised for the boarding students on 19th November 2017. 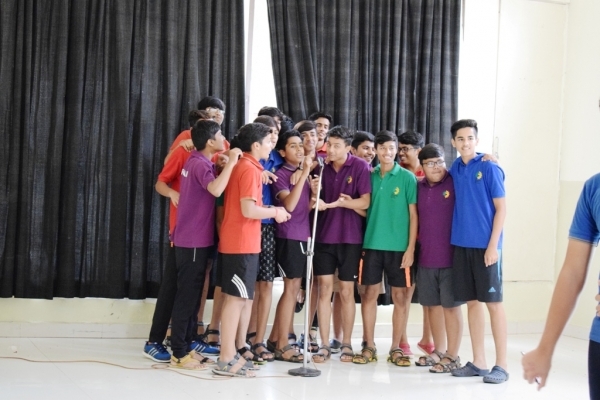 Participating with a lot of enthusiasm and zeal, students from all the houses performed to their best potential.After various preliminary rounds, Pragyan and Udyam qualified for the finals and Pragyanemerged as the champions of the tournament. 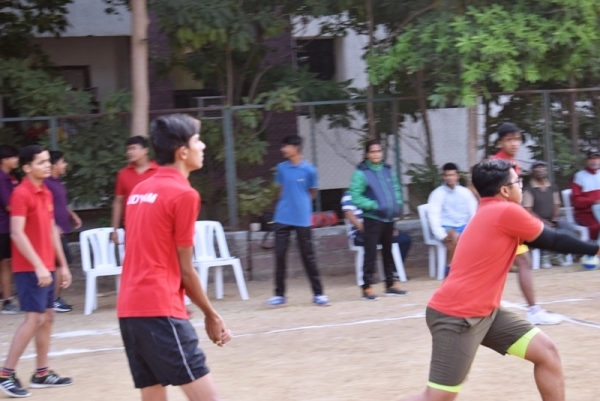 Satyam Soni ofUdyam Housewas adjudged asMan of the Match for his outstanding performance & efforts. 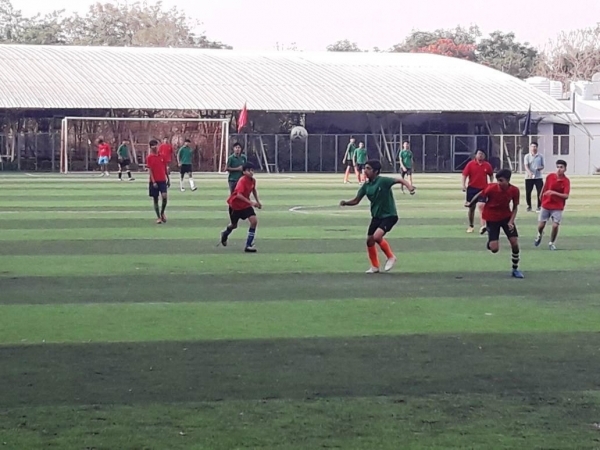 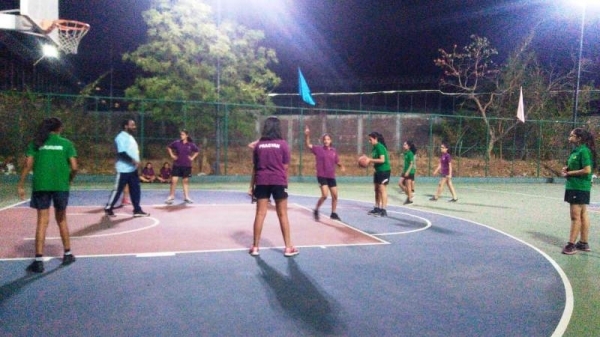 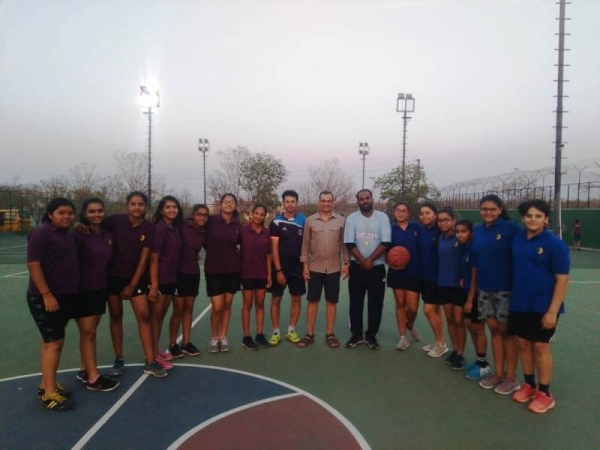 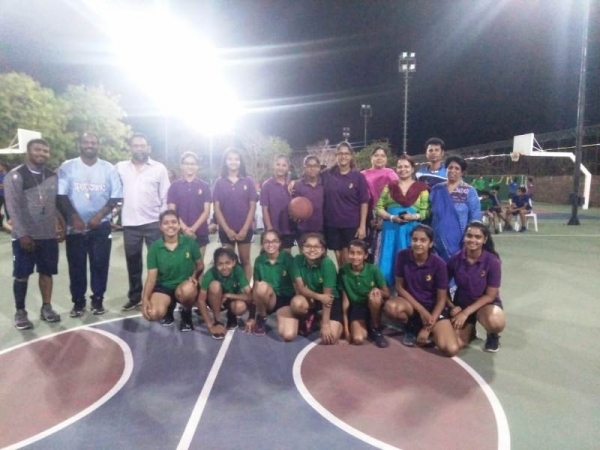 A friendly match was also played between senior girls, where they exhibited a splendid performance.The closing ceremony was the high-point of the tournament as the students and teachers played a friendly match. 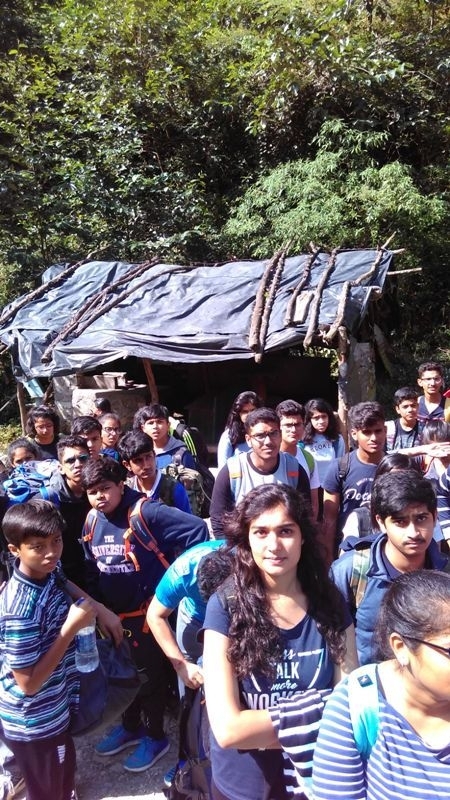 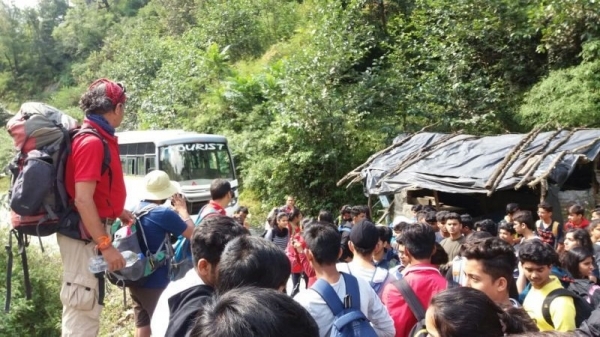 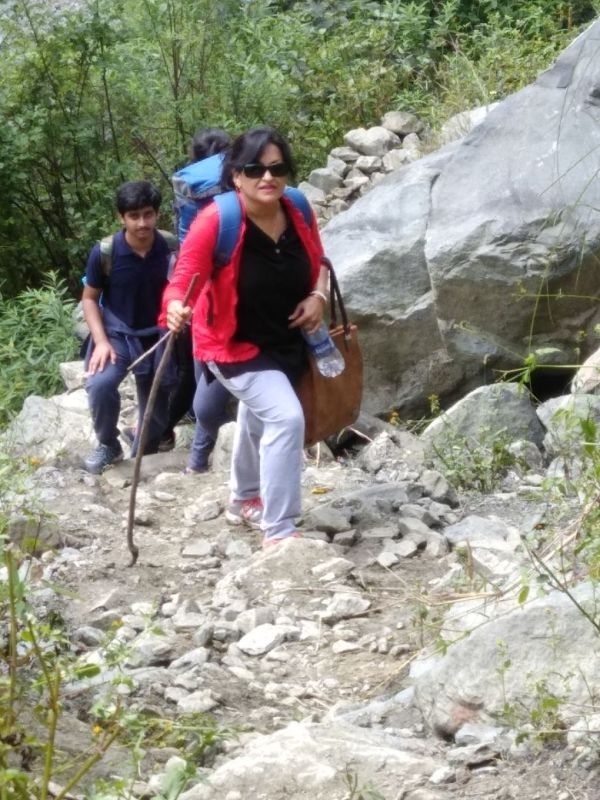 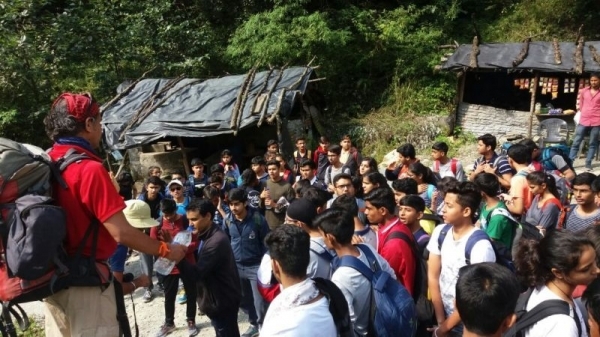 With the freshness of the wilderness and unknown rumbled path to nature; with the raw fragrance of the bean sheaths to fluttering butterflies in shades extinct, the IAYP students of TSVS were geared to challenge the land that slides to scare. 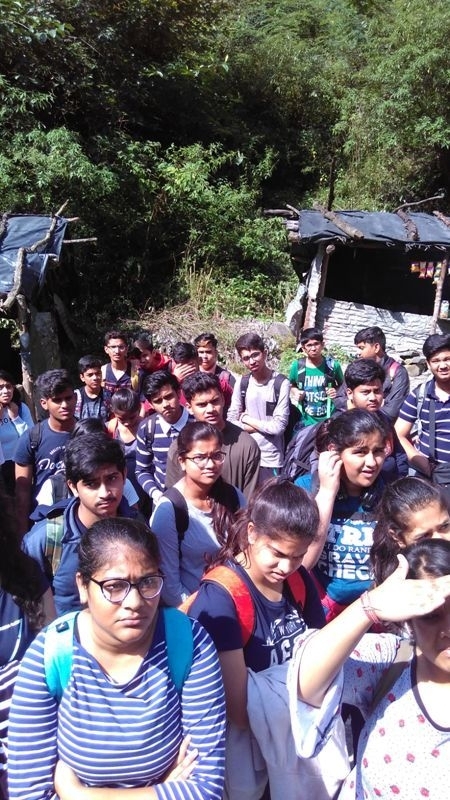 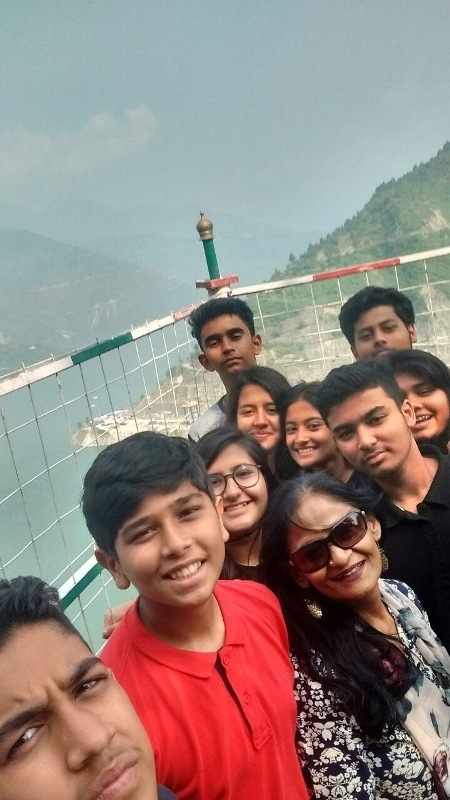 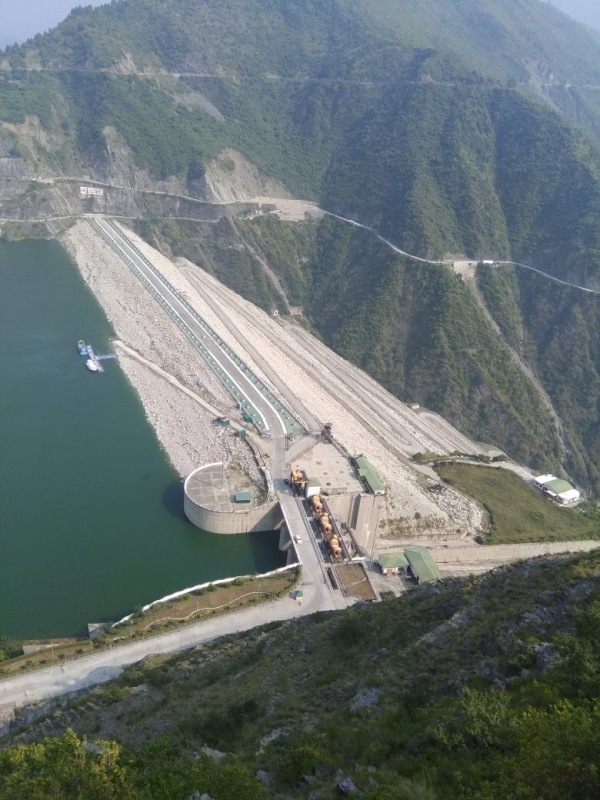 The IAYP brigade travelled and trekked to areas in Uttarakhand like Uttarkashi, Betwa, Dodital, Mussorie, Rishikhesh & Kanatal from 25th September to 2nd October 2017. 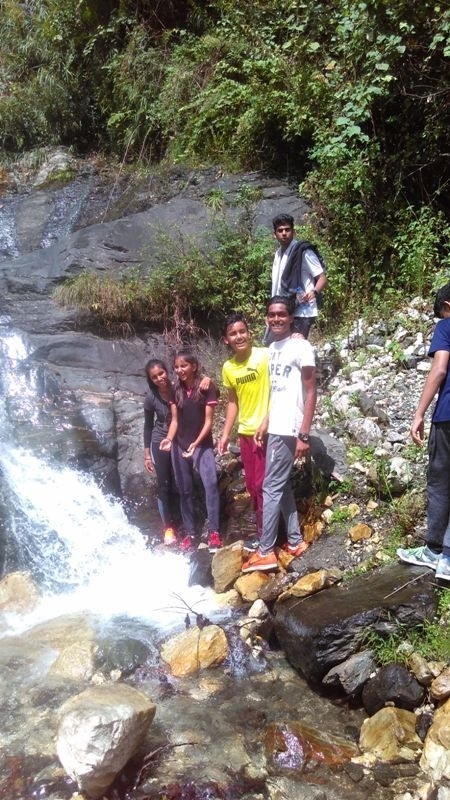 At the end of the trip, the students were tired yet excited as they created fond memories to cherish forever. 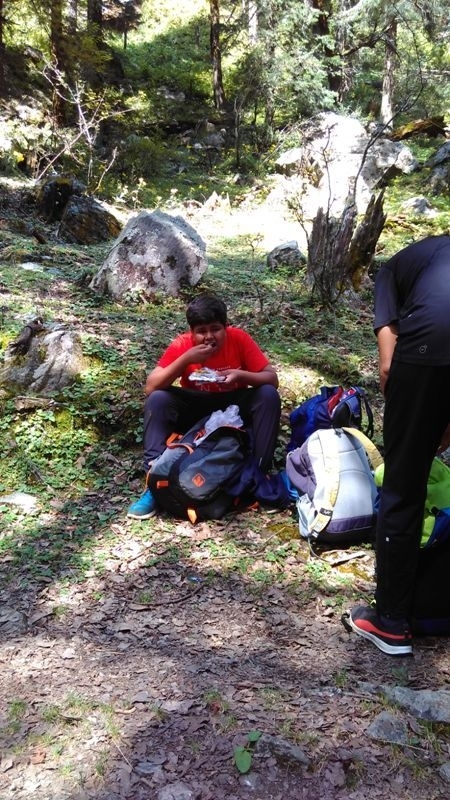 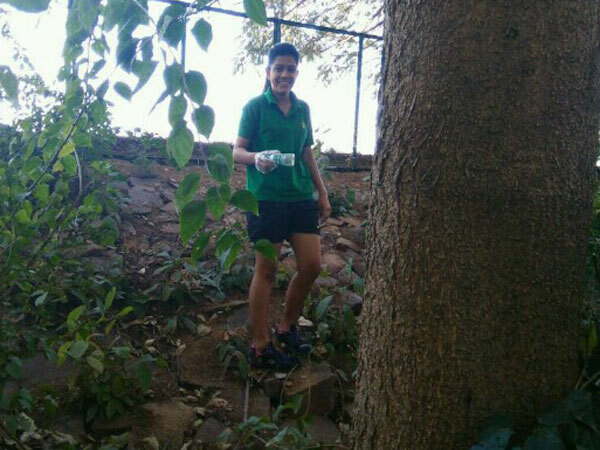 Here is a little glimpse in to the adventurous trip. 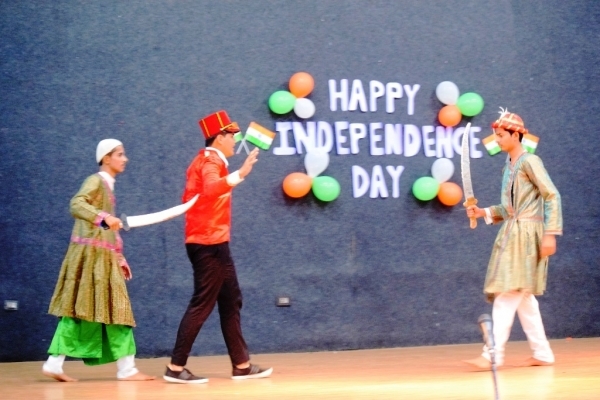 With a mind free of fear and heads held high, The sanskaar valley school proudly celebrated the 71st Independence Day today the 15th of August, 2017 on campus with the entire residential community in attendance. 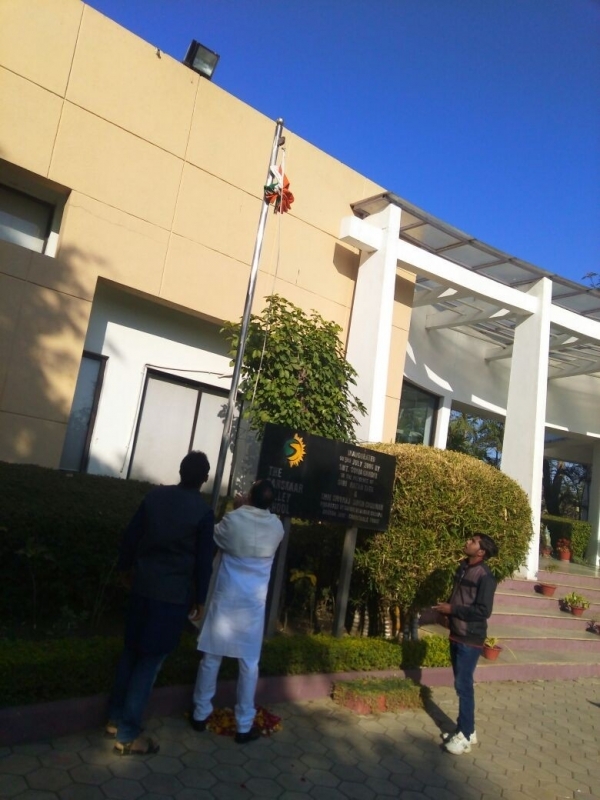 The celebration began with the hoisting of the National flag at 9:00 am by the members of the Senior Management Team Dr. Dillip Kumar Panda, Mrs. Pratibha Lalwani and Mr. Vikas Ajmera. 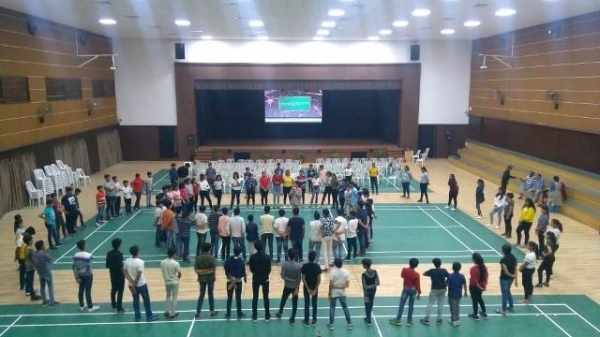 This was followed by a pledge solemnly taken by the students and staff members. 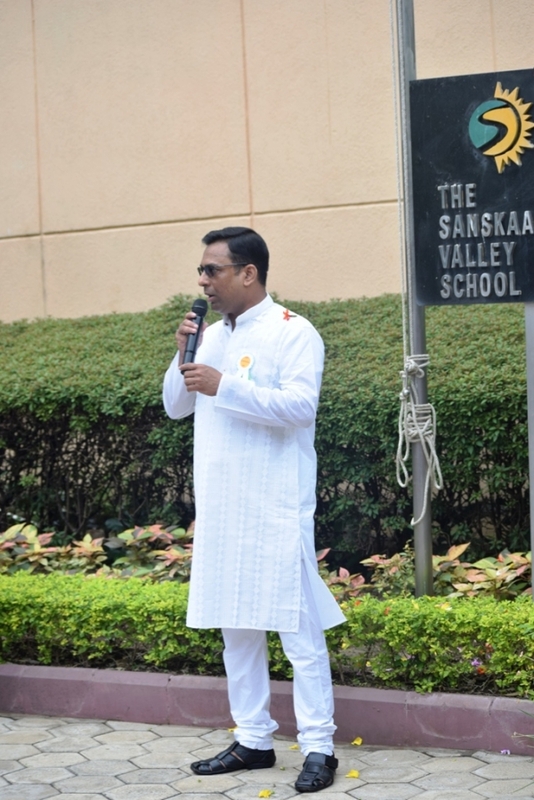 Dr. Panda addressed the gathering with some words of wisdom accentuating the importance of the day. 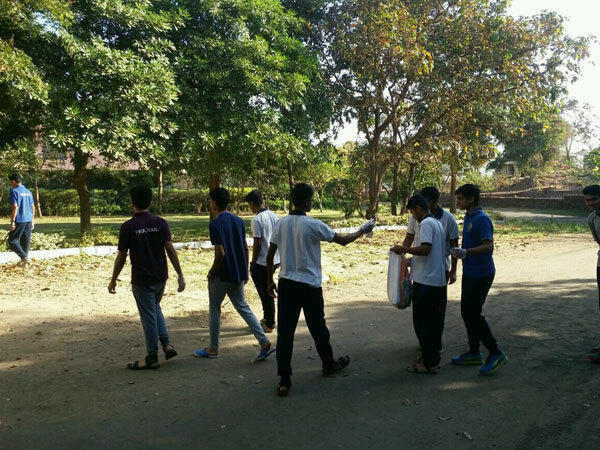 The assembly then moved to Ananda for breakfast and distribution of sweets. 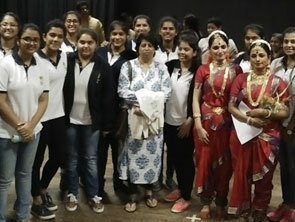 The students in residence then put up a cultural programme par excellence. 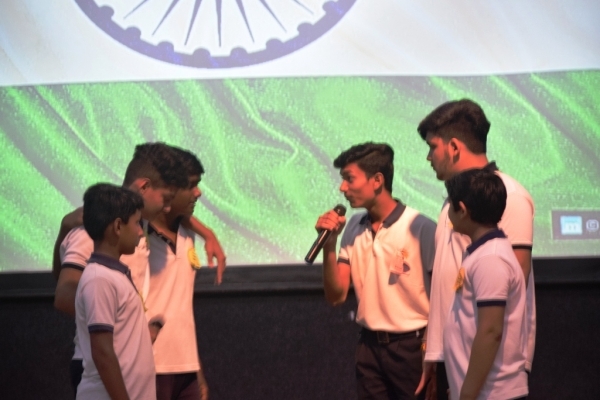 The programme featured patriotic songs, skits and dance performances all with a common theme, reminding us of the importance of the day and imbibing in us national pride. 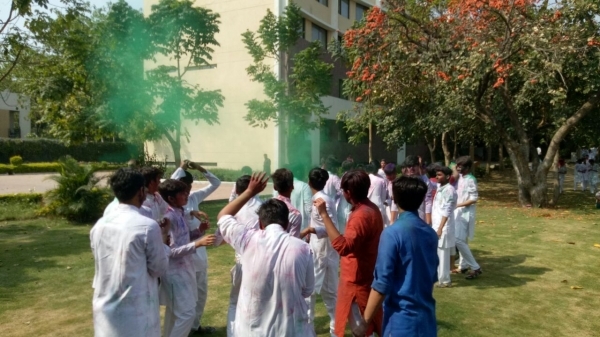 The event was witnessed by all the students and staff members in residence. 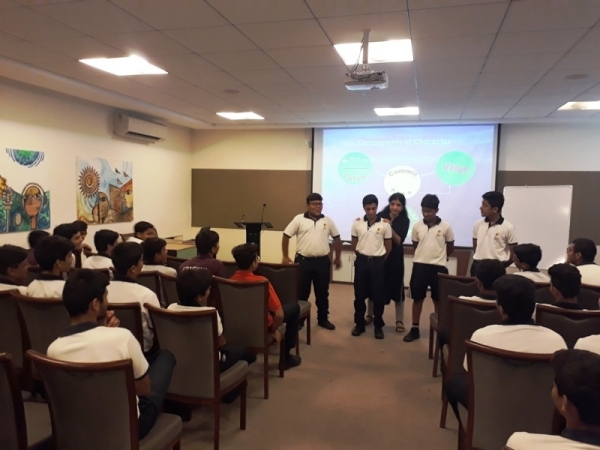 On 15th July, an Extempore Session in English was organized for the boarding students.In this competition, students were categorized into four groups and each student was given a different topic. 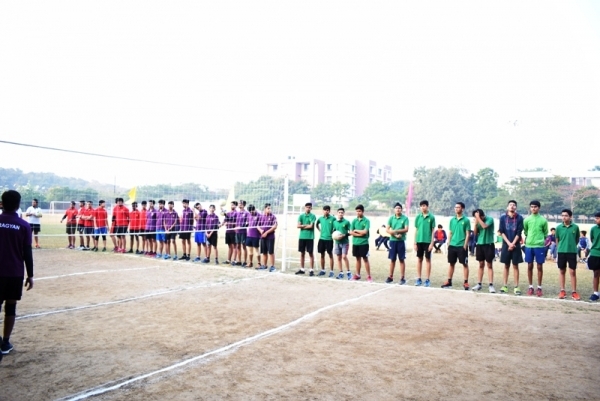 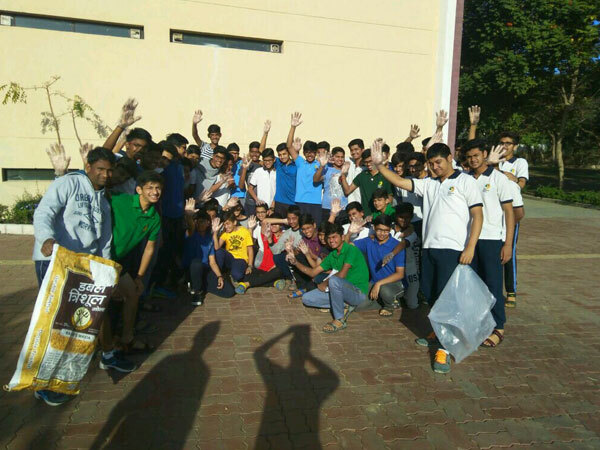 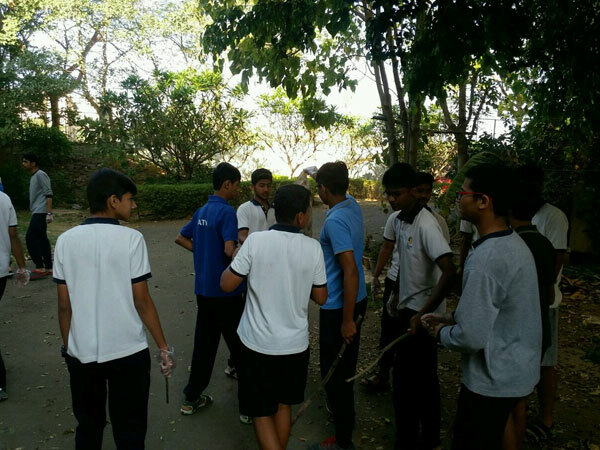 Students were judged by Mr. Riyaz Nagori, the Senior Housemaster and Mr. Rajnish Choubey. 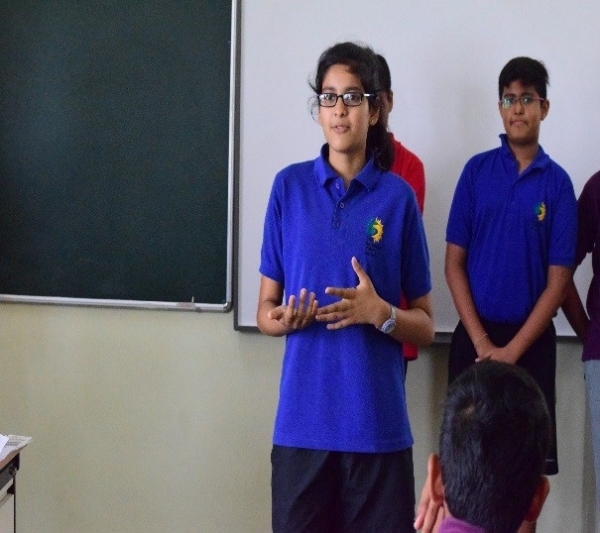 While summing up, the judges said that these kinds of initiatives are laudable as they help a student to gain confidence as well as the oratory skills. 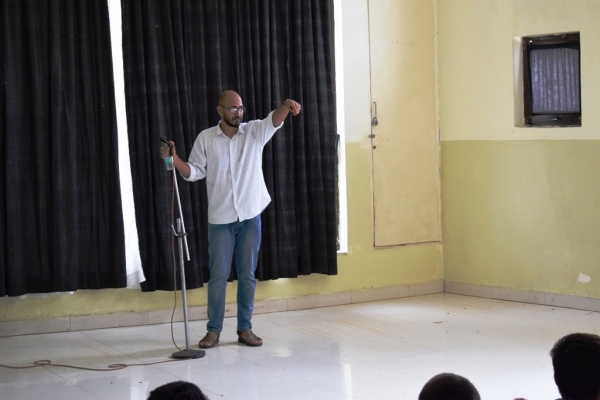 According to them, everyone should come up and try to speak on stage as it’s the only way to conquer the dread of public speaking. 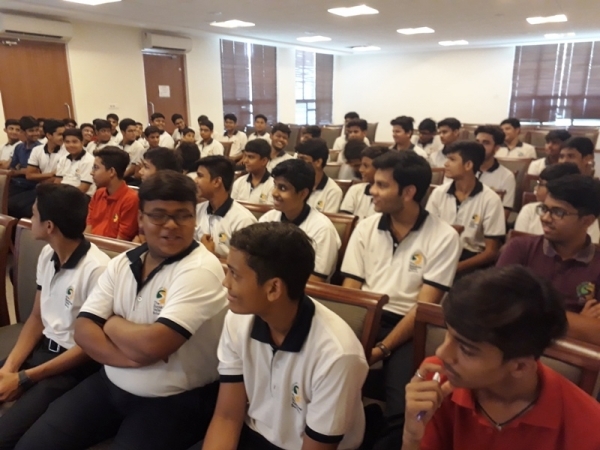 Also, they said that school is the best place to enhance the skills as compared to college as school is a place where students are given shape and are nurtured whereas, in college, a pupil’s aptitudes are refined to a higher degree. 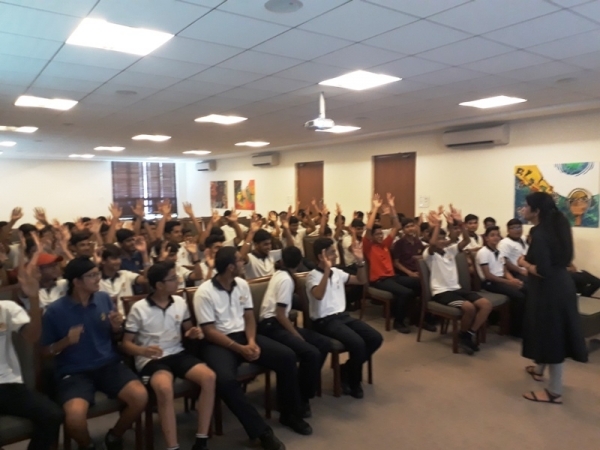 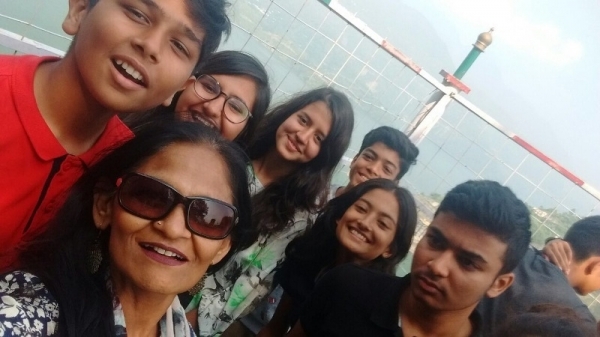 Dr. Ratna Sharma, the school counselor conducted a workshop with the senior students from Kshitij on Self-Enhancement and the consolidation of the “Self” concept by imbibing positive attitude towards self and other fellow beings. 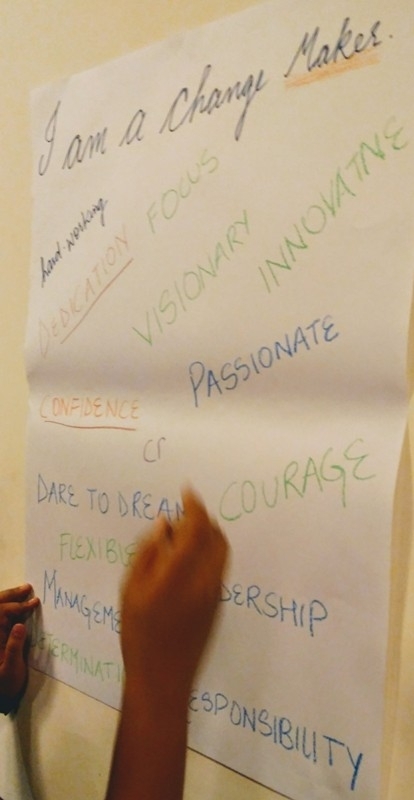 The session highlighted upon three basic values which is considered essential for building the foundation of a fruitful community. 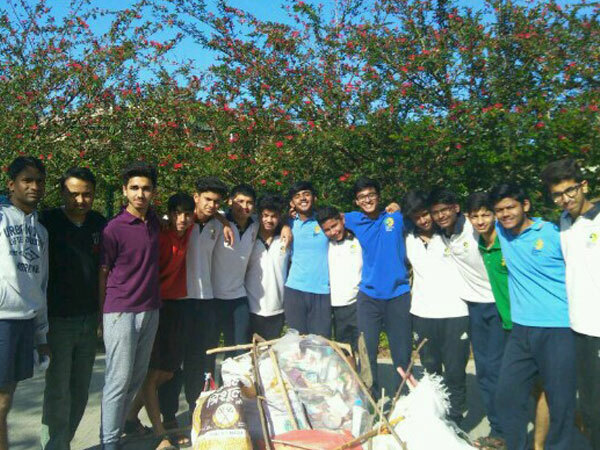 Kindness: Not only as a virtue, but practicing it in dealing with friends and juniors. 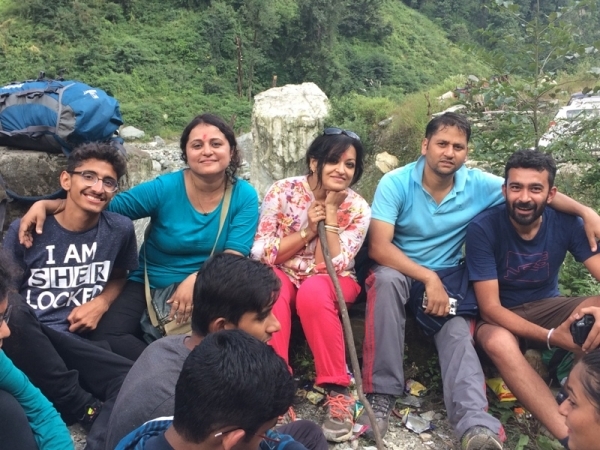 Humanism: Adopting an empathetic path to share the happiness and grief of others. 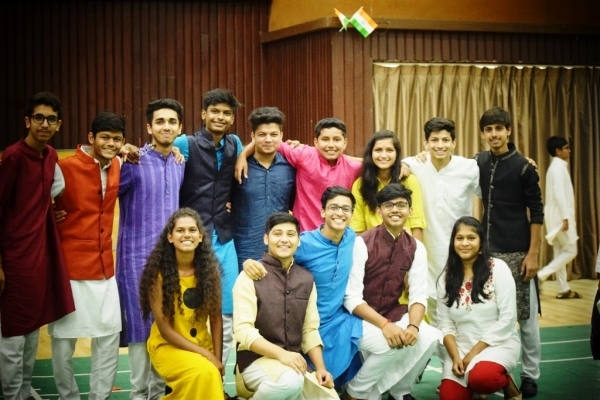 Emotional Connect: Which the basic foundation of community living and believing in the essential goodness of friends and classmates. 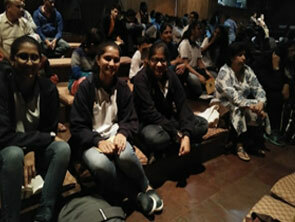 The session was very interactive and students came up with many interesting perspectives of relationships and bonding. 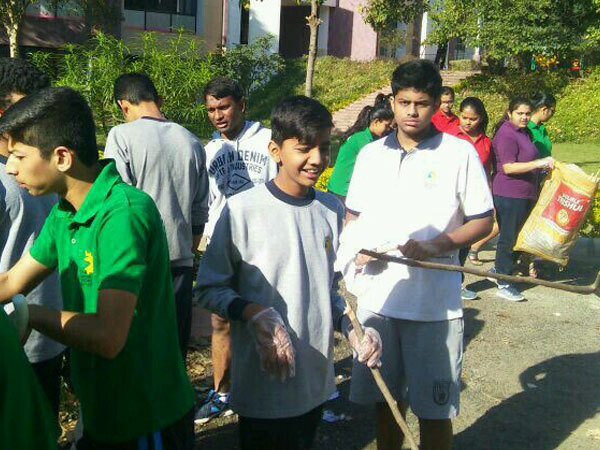 This quote was very well followed by the IAYP Social service students of The Sanskaar Valley School. 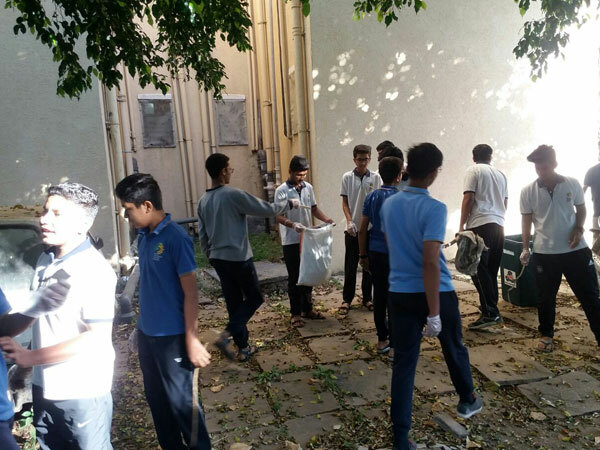 They had undergone a social service initiative, where they resolved to clean the campus and facilitate the workers of our community. 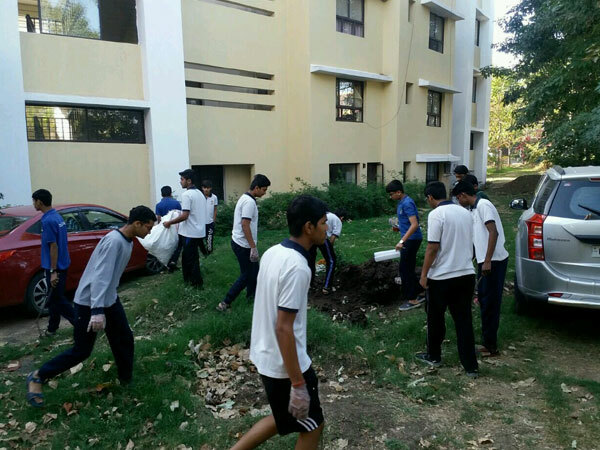 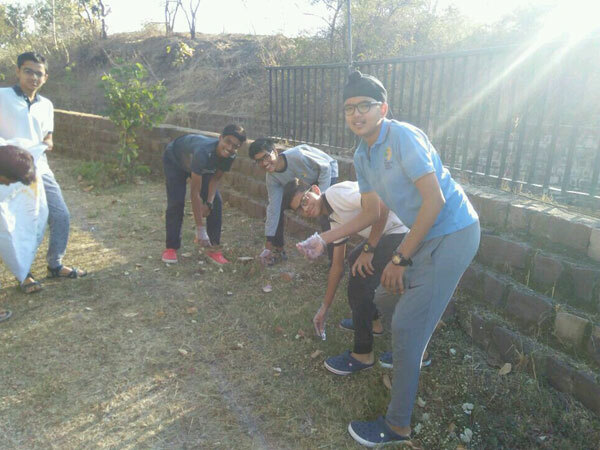 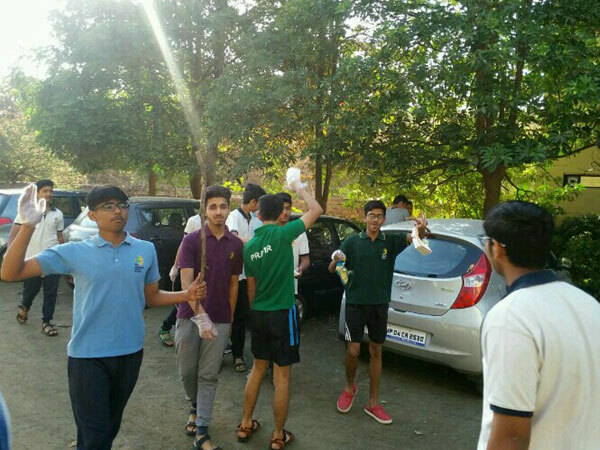 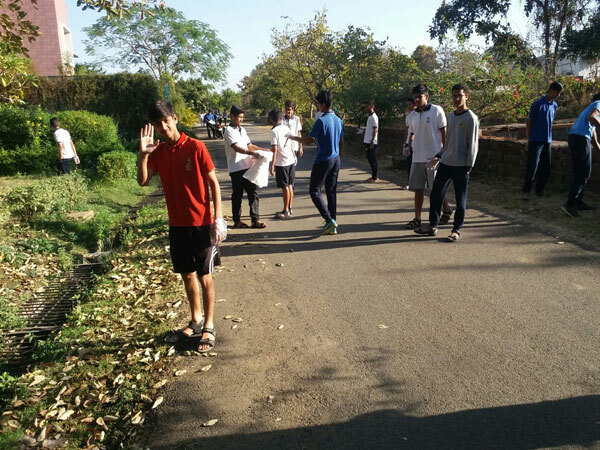 It was Sunday, 26th of February 2017 when the group of our selfless and dedicated students got up early in the morning and were found geared up with the feel of un-conditional effort towards nature and the workers. 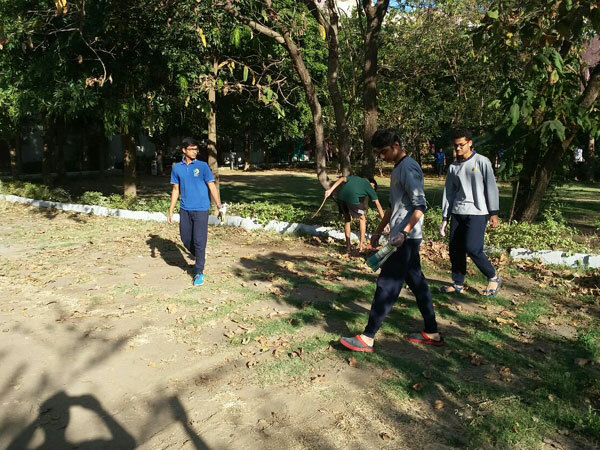 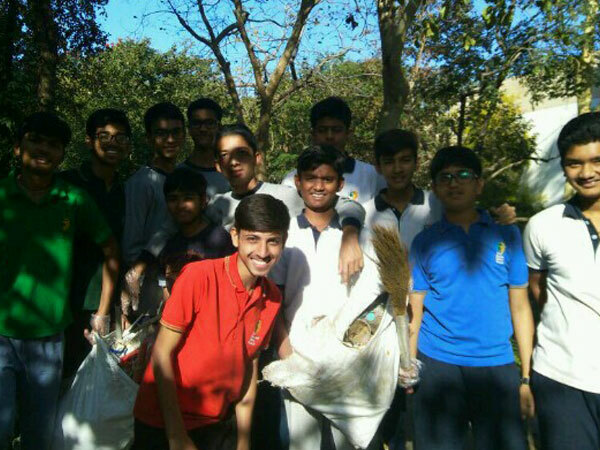 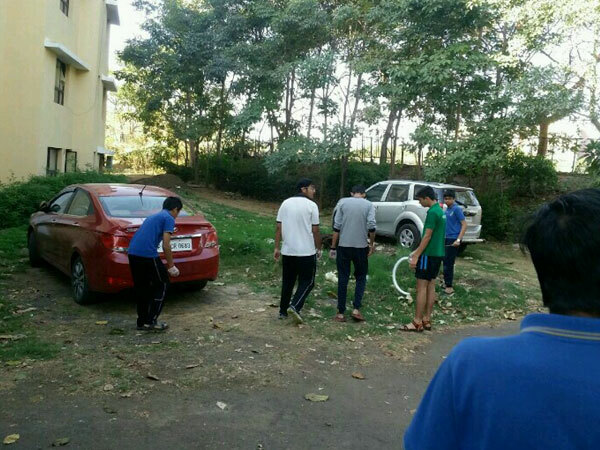 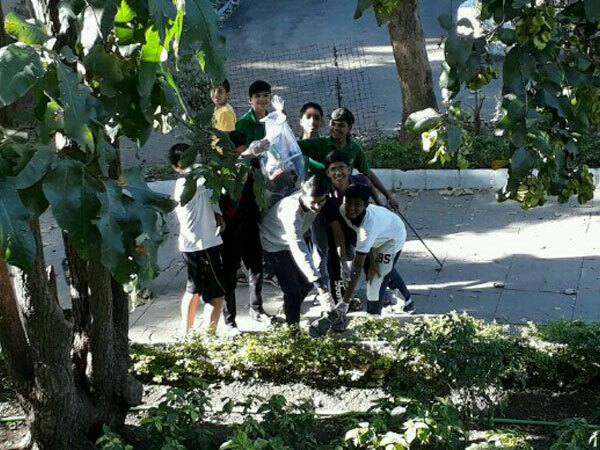 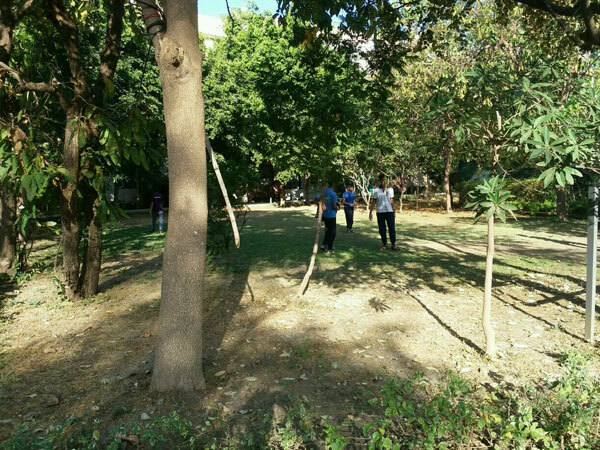 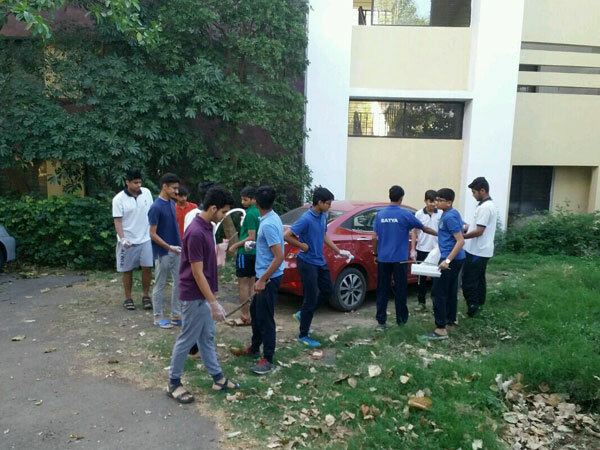 Though it was a bright and sunny morning, but each one of them spread out in the campus, ready for the toil and labour and were found picking and collecting wrappers and leaves. 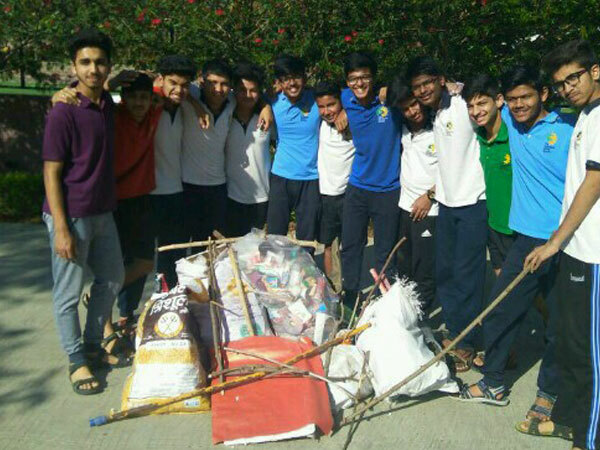 They were provided with gunny bags to fill the waste. 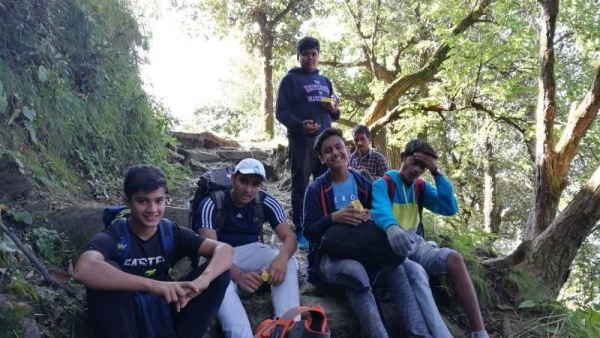 There was no reflection of tiredness seen in these young warriors, rather they were found supporting and holding hands of each other. 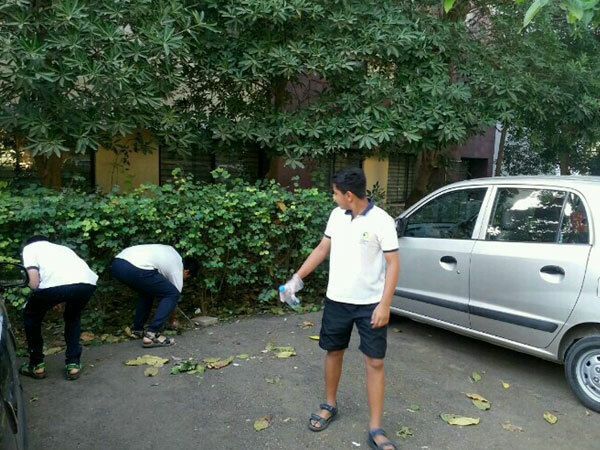 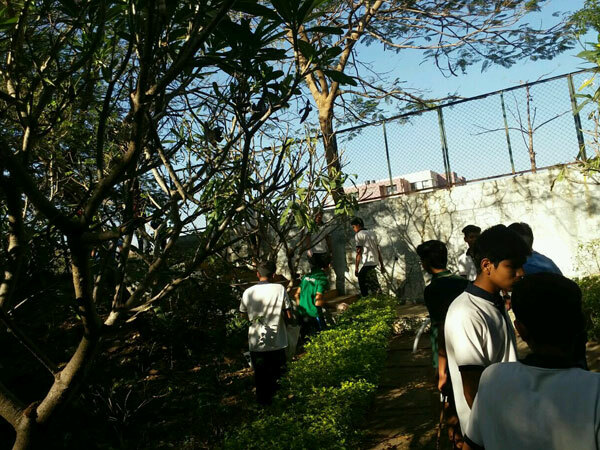 After the cleaning, the students were filled with a sense of contentment and gratification when they overviewed the area. 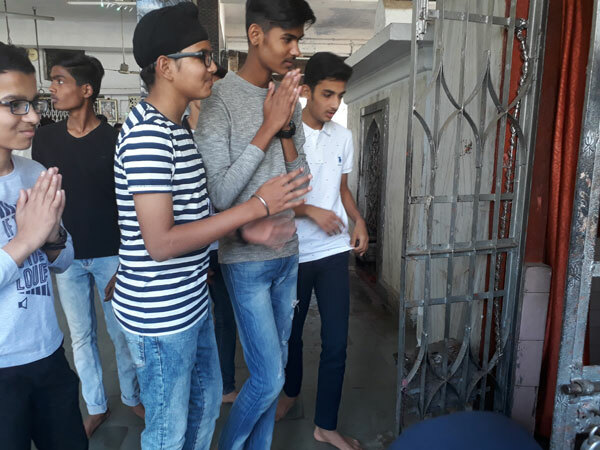 They were overwhelmed and rejoiced too. 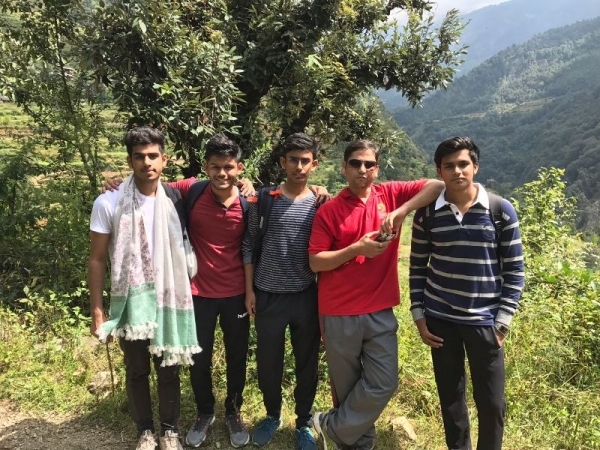 The endeavor of theirs was indeed appreciable. 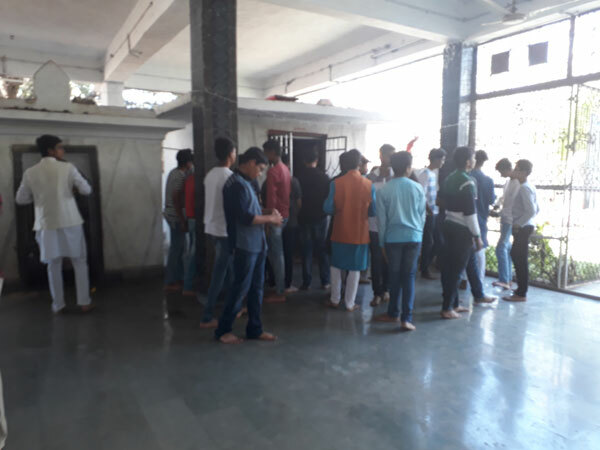 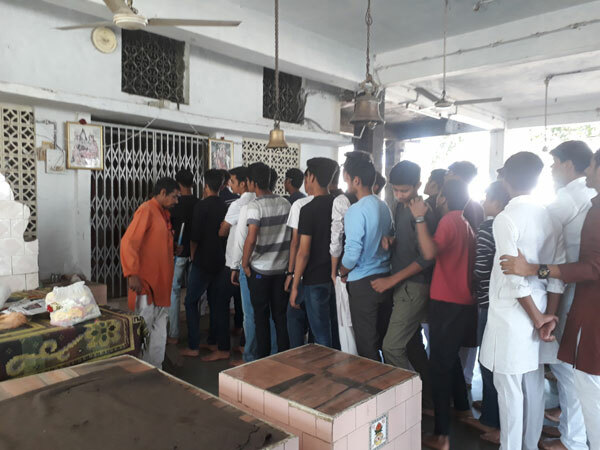 On 24th February April, 2017 (Friday), all the boarders from Kshitij and Prerna visited “Shiv Temple” at Police line, Bhadbhada Road on the occasion of Maha Shivratri. 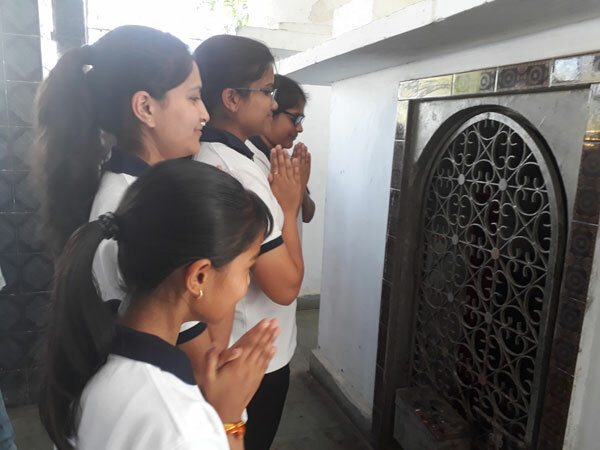 The students experienced spirituality and took the blessings of the Almighty. 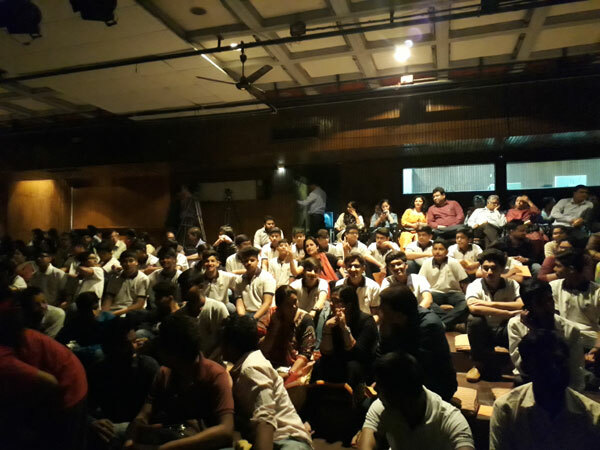 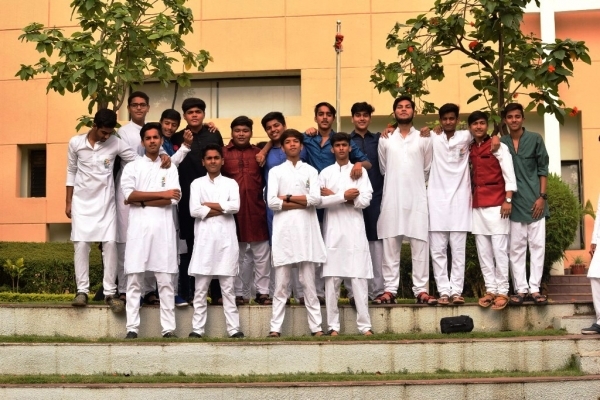 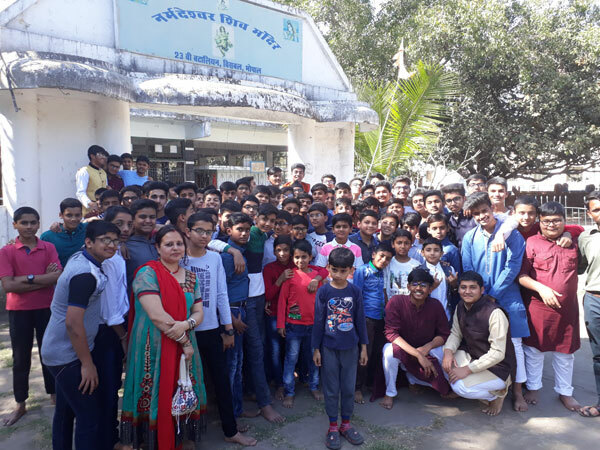 On 21st February April, 2017 (Tuesday), grade 10 and 12 boys of Kshitij were taken to “Bharat Bhawan” to watch a play “Mukam Dehroo Jila Nagor”. 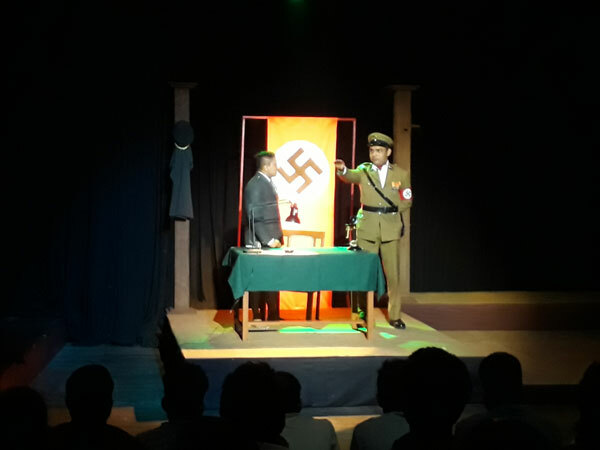 The boys were entertained by the comedy drama which depicted the life in a village during the Second World War.They were splendid by the performances of the actors. 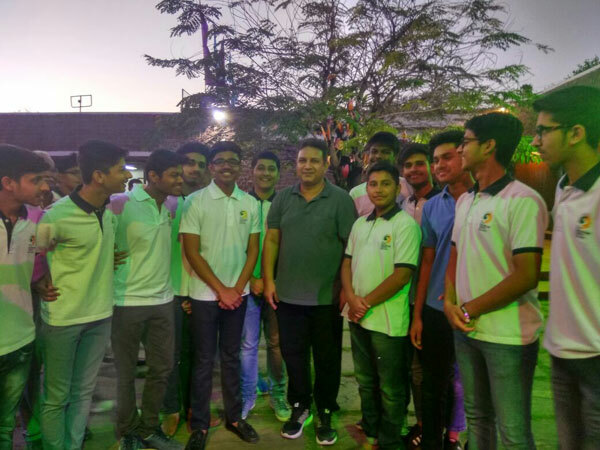 Boys also got opportunity to meet Mr Kumud Mishra fame of Bollywood movies Airlift, MS Dhoni and Sultan. 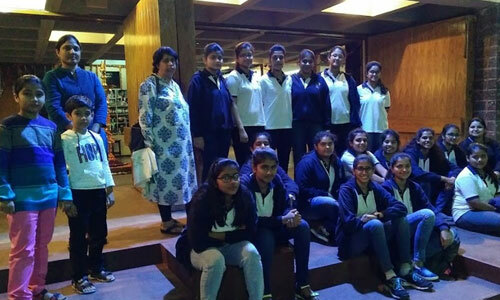 The boarding students were taken to Bharat Bhavan on 16 February 2017 by Mr. Ganpat Swarup Pathak to witness the Bharat Natyam Samooh Nritya. 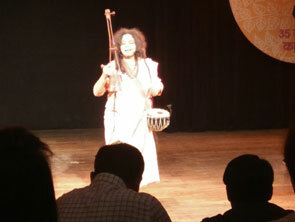 The Show began with a melodious and deep performance by talented Parwati Baul who is famous for her baul singing in Bengali. 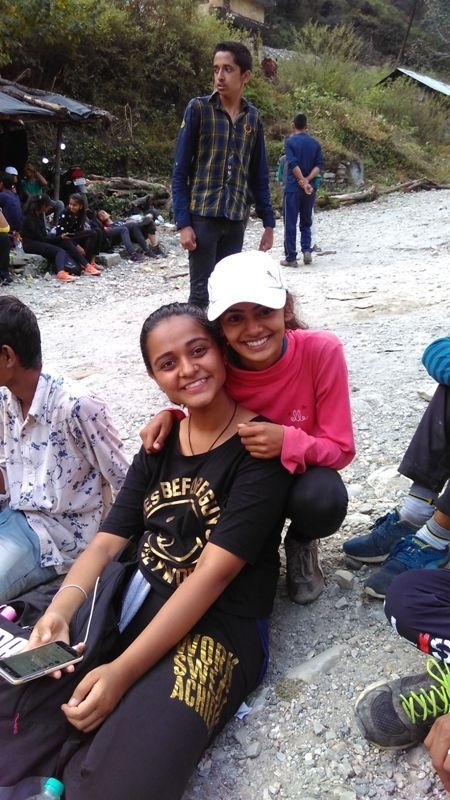 It is truly said that music connects souls because the way she was indulged in her singing left the audience in a rapture. 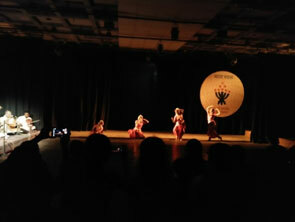 This was followed by Bharat Natyam performance by Ria Jha, Mohika Saxena, Aarohi Munshi and Madhura Chattopadhyaya who are disciple of the Celebrity Dr. Lata Munshi. 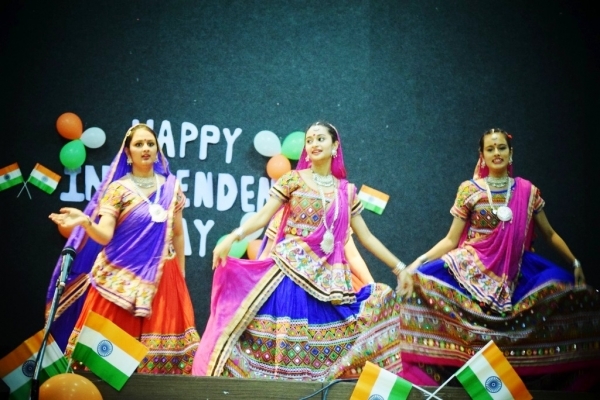 Truly, dance is a language itself. 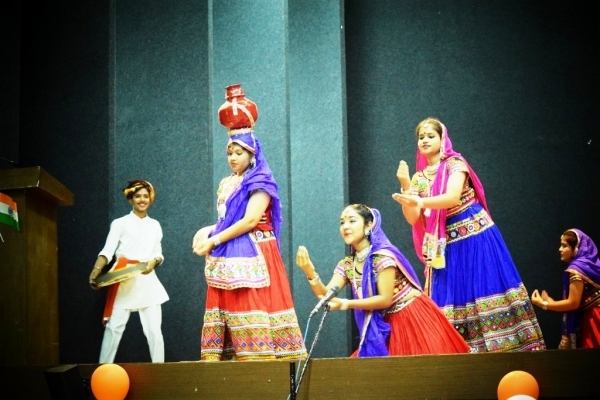 Through their expression and beautiful dancing the girls portrayed the stories of lord Krrishna and Ram. 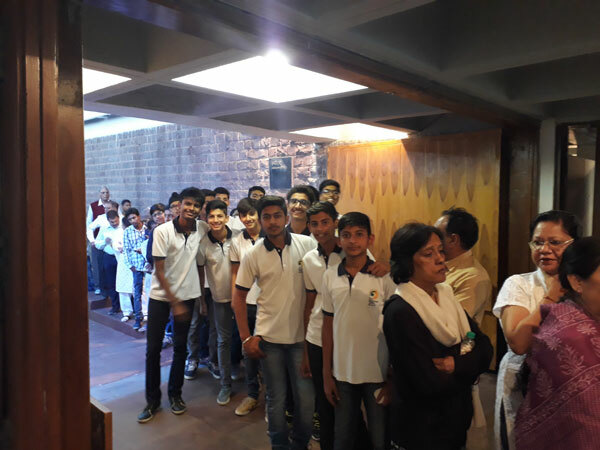 The students were delighted to be the audience of such a great performance and they got golden opportunity to indulge themselves in the precious Indian culture.